Best Buy is running another big Apple Shopping Event, with impressive discounts on iPhone, iPad, and Mac. You can also save on Apple TV and a whole bunch of accessories like Beats headphones and speakers. Follow the link below to find all the Apple deals in one place. Every MacBook needs a USB-C hub. This one from IOGEAR boasts 10 different ports, including Mini DisplayPort, HDMI, VGA, Ethernet, and more. You can use it to power multiple high-definition monitors, to power and charge your gadgets and peripherals, to read SD and microSD cards, and more! 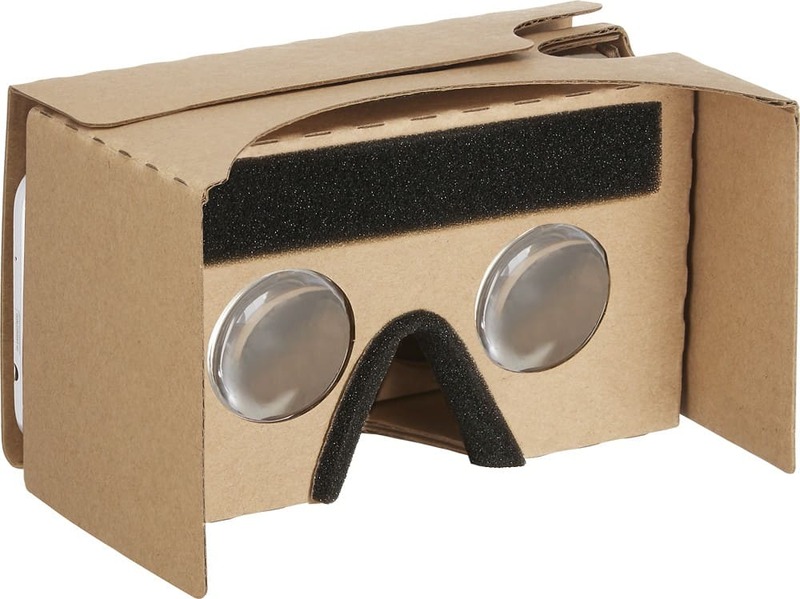 Get yours today from Best Buy for $99.99 — $20 off the usual price. 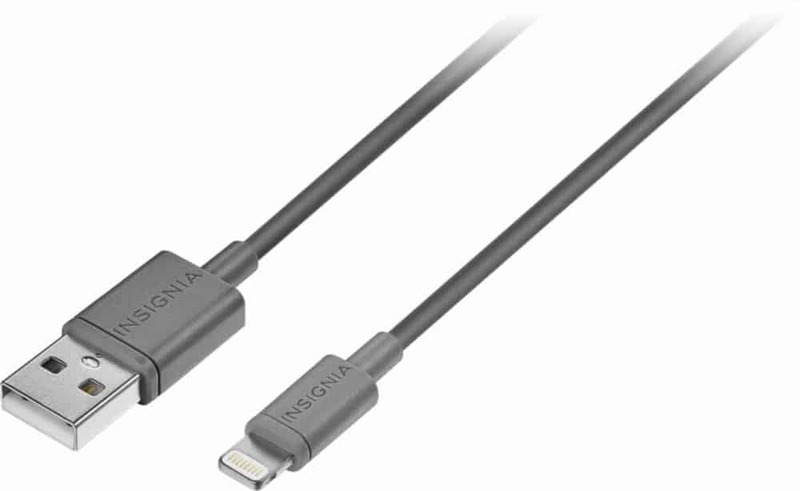 Apple-certified Lightning cables don’t have to be pricey. Best Buy currently has a big sale on its three-foot Insignia cables, which are available in red, blue, and gray for just $3.99 — down from $6. 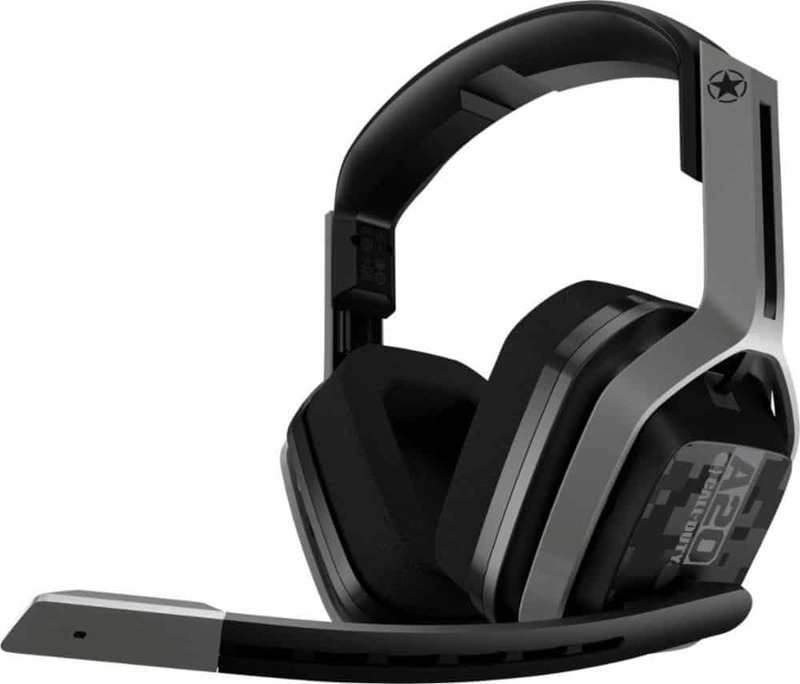 Step up your game with the Astro A20 Call of Duty wireless gaming headset for Xbox One, PC, and Mac. It boasts excellent audio, the ability to create custom EQ modes, and a crystal clear microphone. It’s also incredibly comfortable, which makes it ideal for mammoth gaming sessions. The Astro A20 is normally priced at $159.99, but you can get yours from Best Buy for $99.99 for today only. 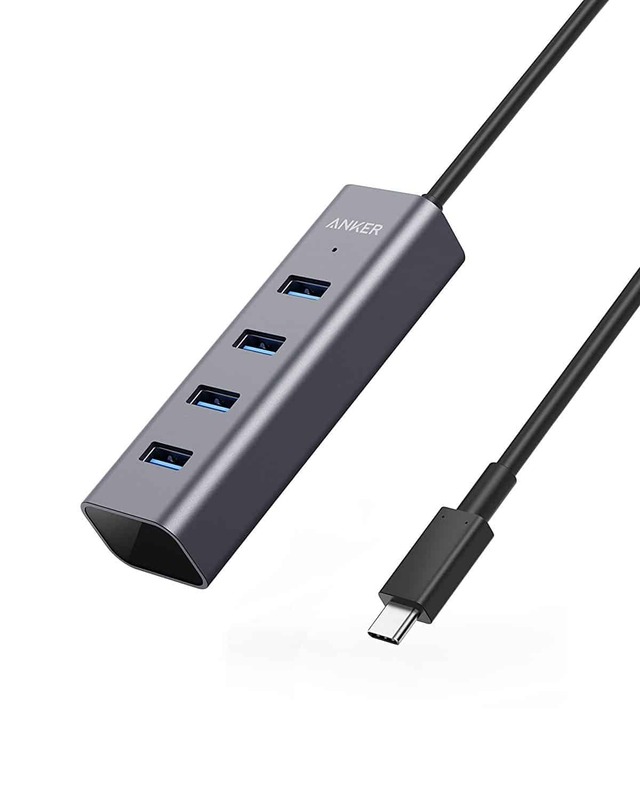 Add additional USB-C ports to your MacBook with the Anker 4-port hub. Its premium aluminum design makes it a perfect match for any Apple machine, while its super-speedy data speeds make it ideal for any task. Get yours today from Amazon for $15.99 — down from $19.99. Need a pair of headphones that are perfect for working out? 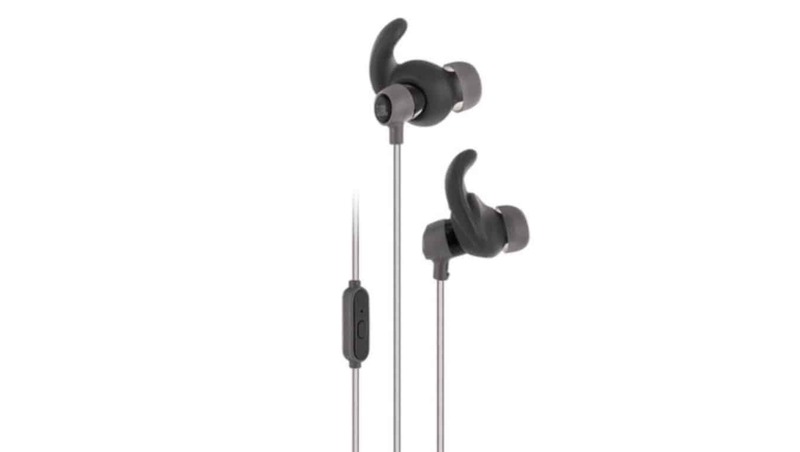 Check out the JBL Reflect Mini lightweight earbuds. They promise great sound, ergonomic tips that stay in while you’re on the move, and a built-in microphone that lets you handle calls. Get yours today from B&H Photo for just $17.99 — 70 percent off the usual price. Brand new Apple machines don’t have to be wildly expensive. 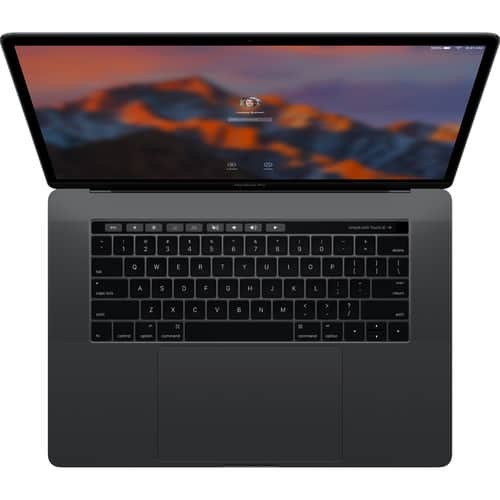 Amazon currently has an incredible deal on the 2016 12-inch MacBook, which makes it cheaper than an aging MacBook Air! 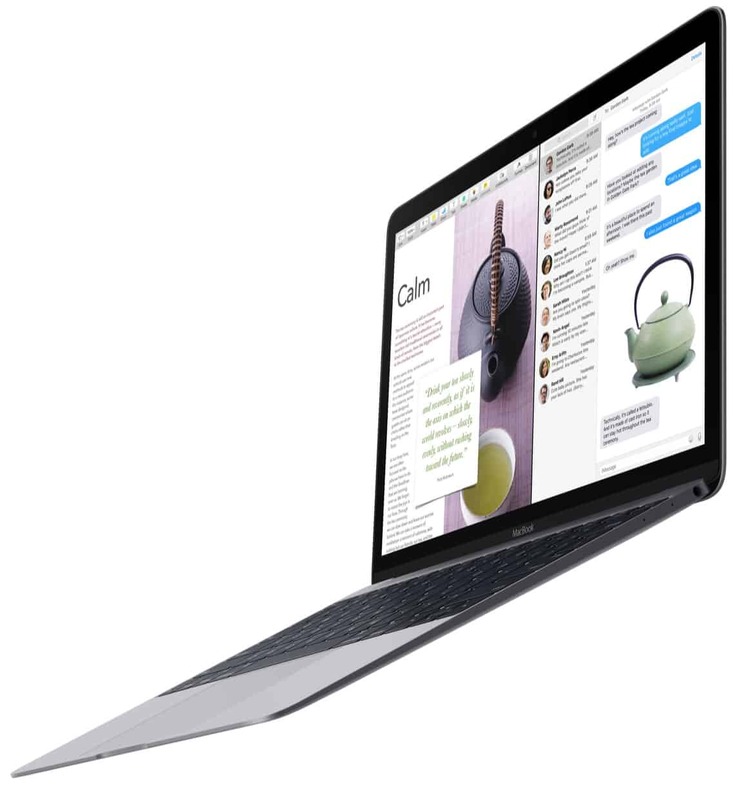 For just $799 — down from $1,299 — you get a 12-inch Retina display, an Intel Core m3 processor, 8GB of RAM, and 256GB of speedy SSD storage. These are brand new models, and they’re available in gold or rose gold. Grab yours now before they’re all gone! Best Buy’s incredible deals on Apple computers continues this week with up to $200 off the MacBook, MacBook Air, and MacBook Pro. You can get a brand new machine for $849.99 — or even less if you’re a student. Follow the link below to find all discounted Apple machines in one place. 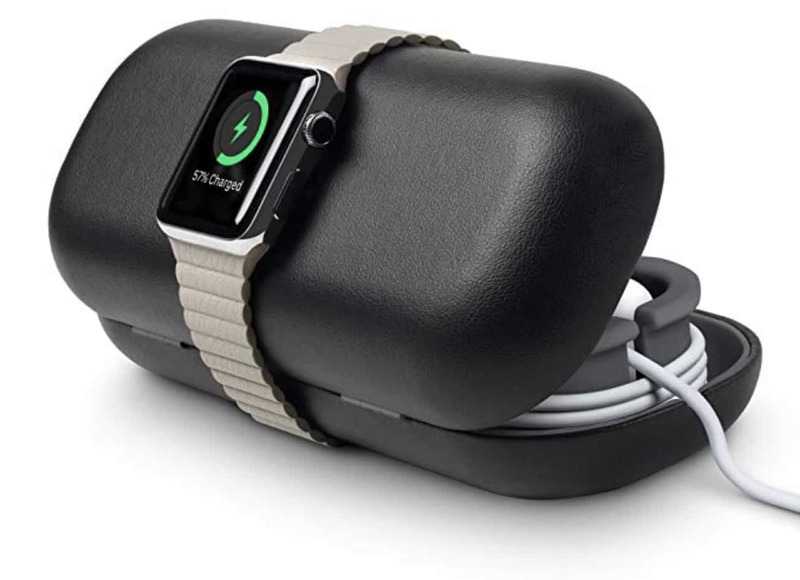 Carry your Apple Watch and essential accessories in style with the TwelveSouth TimePorter. It has space for your charger and additional bands, ensuring nothing gets lost in the bottom of your luggage. It’s an essential for travellers. Get yours today from Amazon for $42.49 — $7.50 off the usual price. 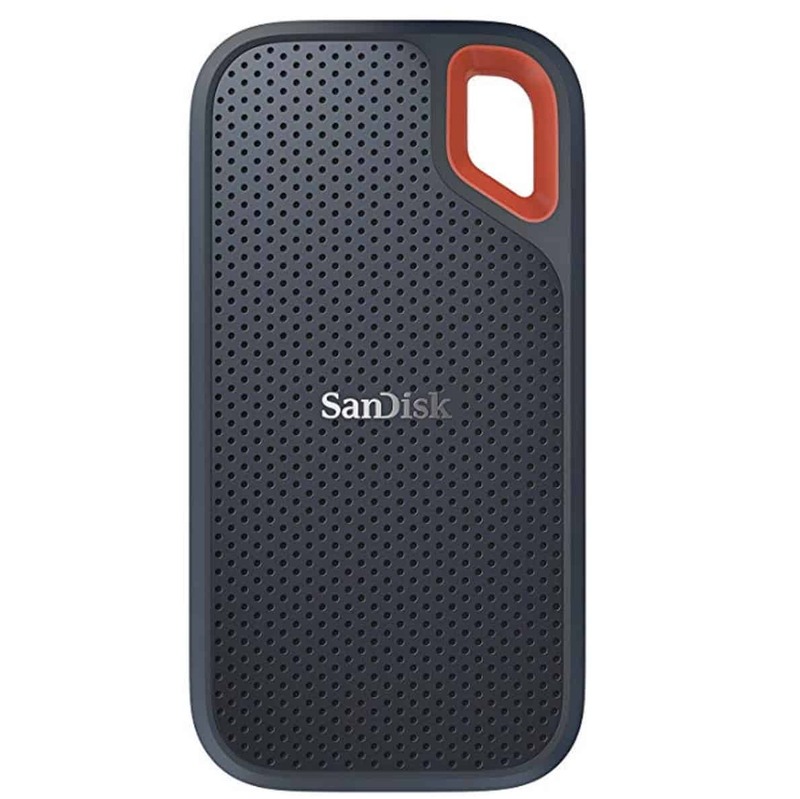 Take your most precious data everywhere you go and rest assured it will stay safe with the 1TB SanDisk Extreme Portable SSD. Its rugged and water-resistant design is perfect for those who are always on the go, while its speedy data transfer speeds make it ideal for movies, music, photos, and other large files. Get yours today on Amazon for $224.99 — $125 off the usual price. Get your game on with big discounts on gaming accessories for Mac and PC at Best Buy. You can save up to $72 on chairs, headsets, keyboards, mice, and more from brands like Logitech, Corsair, Razer, and Astro. Find all the deals in one place by following the link below. 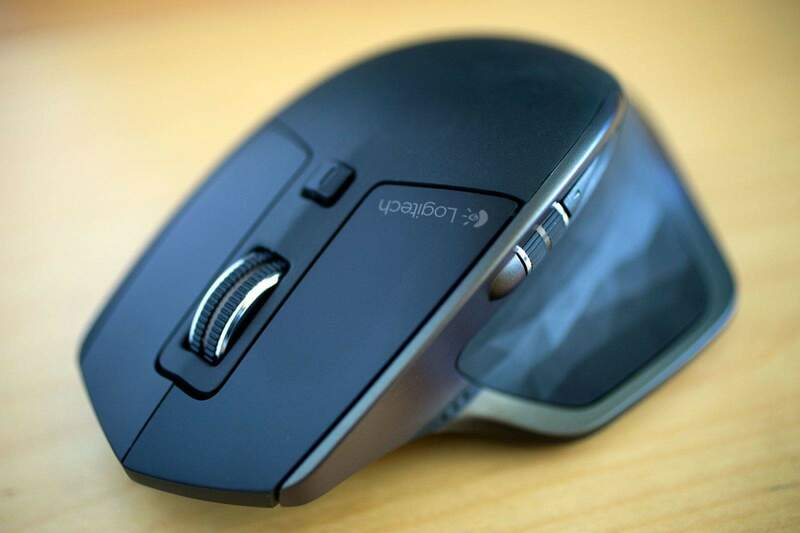 Logitech makes some of the best accessories you can buy for your Mac, like the excellent MX Master wireless mouse and the K840 mechanical keyboard. And for today only, you can save up to 64 percent on these and more on Amazon. 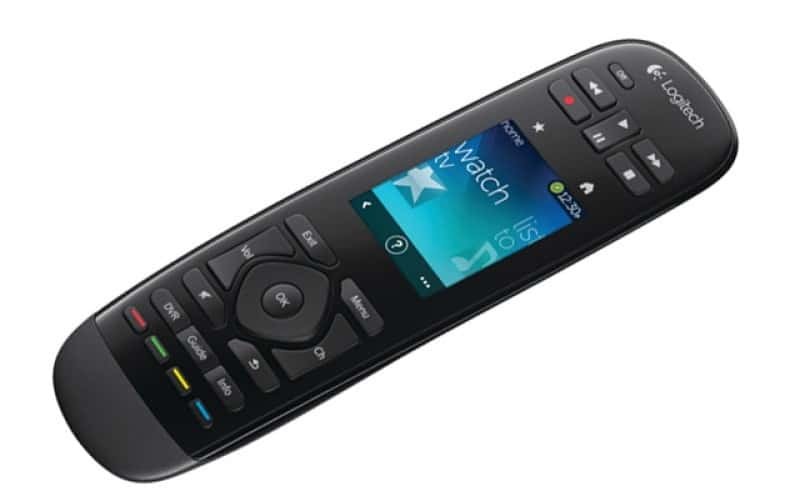 Follow the link below to find all discounted Logitech devices in one place. Don’t fiddle around with multiple remotes. 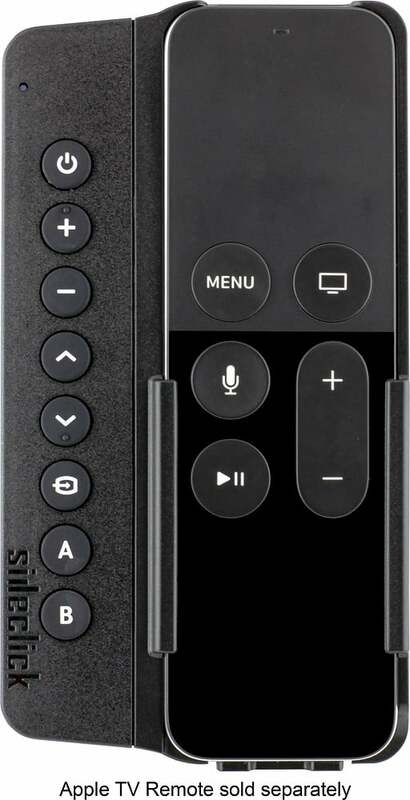 The Sideclick attachment for Apple TV remotes gives you additional buttons that you can use to control a whole host of other devices, including your TV, soundbar, Blu-ray player, and more. Get yours today from Best Buy for $19.99 — $10 off the usual price. Brydge makes some of the best keyboards for iPad, and right now you can get the BrydgeAir at an incredible price from Best Buy. 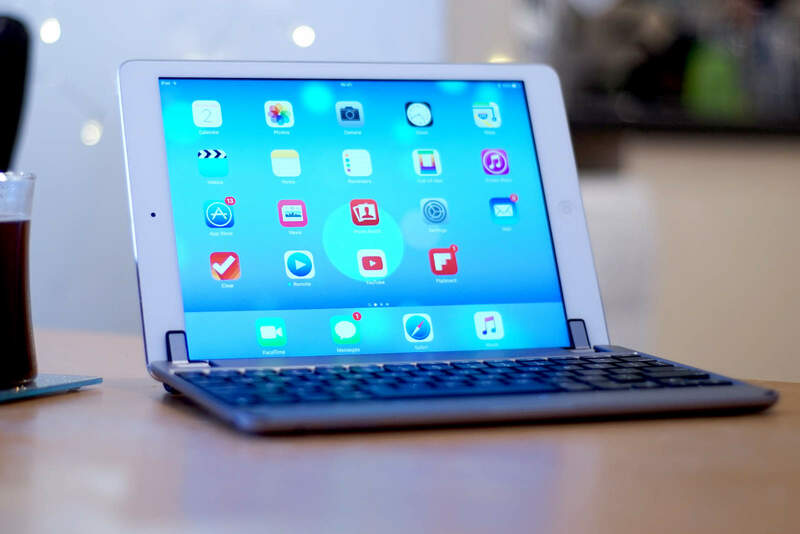 The BrydgeAir fits all 9.7-inch iPads, including the iPad Air, iPad Air 2, and iPad Pro. It’s made out of premium aluminum and looks as good as any gadget you’ll find in the Apple Store. Get yours today for just $64.99 — $65 off the usual price! Don’t pay full price for a set of Beats headphones. 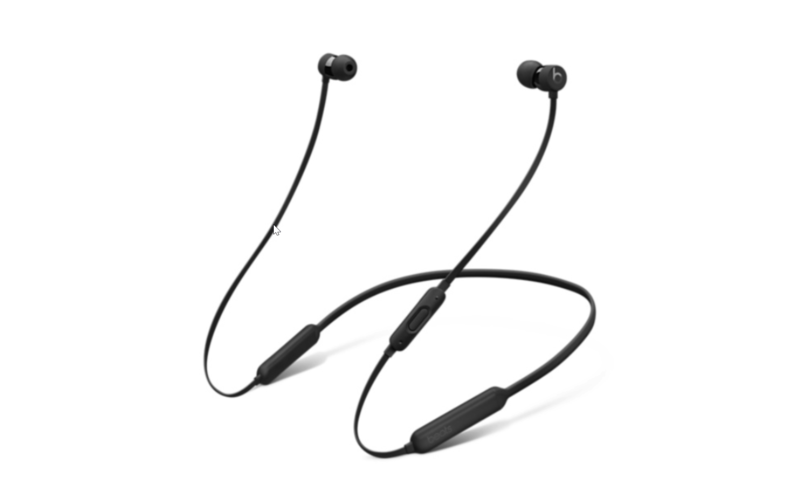 Best Buy is currently offering big discounts on certified refurbished models, like $115 off Powerbeats 3 Wireless, and $86 off BeatsX. Follow the link below to find all discounted models in one place. You need a dongle to connect just about anything to your MacBook or MacBook Pro — but they don’t have to be expensive. 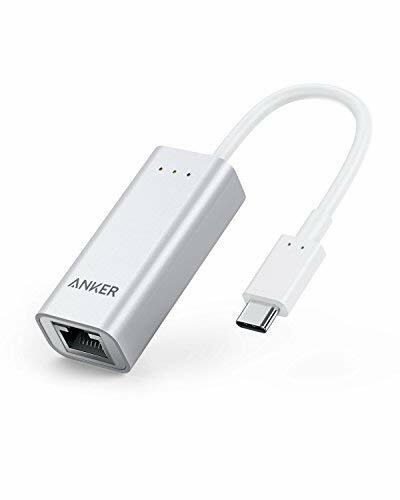 Amazon is currently offering up to 25 percent off Anker’s excellent USB-C accessories. You can pick up an Ethernet adapter for $16.99, a memory card reader for $9.99, and an HDMI adapter for $17.99. Follow the link below to find all the discounted dongles in one place. 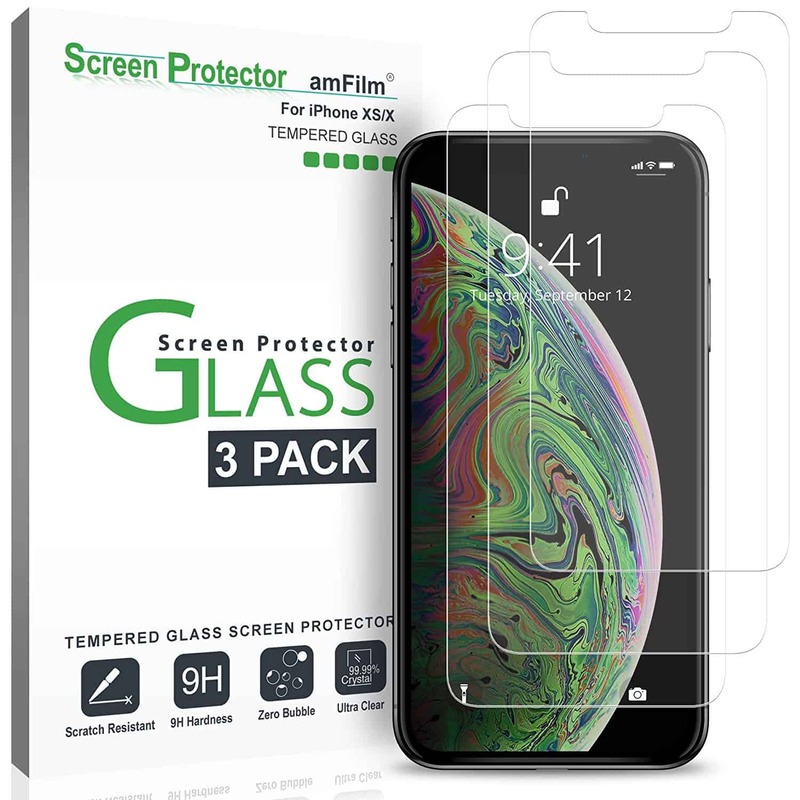 Save your shiny new iPhone XS from scratches with this set of three tempered glass screen protectors. They’re ultra-clear with 99.9 percent transparency, and ultra-thin at just 0.3 mm. They’re also incredibly easy to apply thanks to an included installation tray, and rated 4 stars on Amazon after more than 1,200 reviews. Get yours today — before your iPhone XS picks up scratches — for just $7.99. That’s $7 off the usual price! 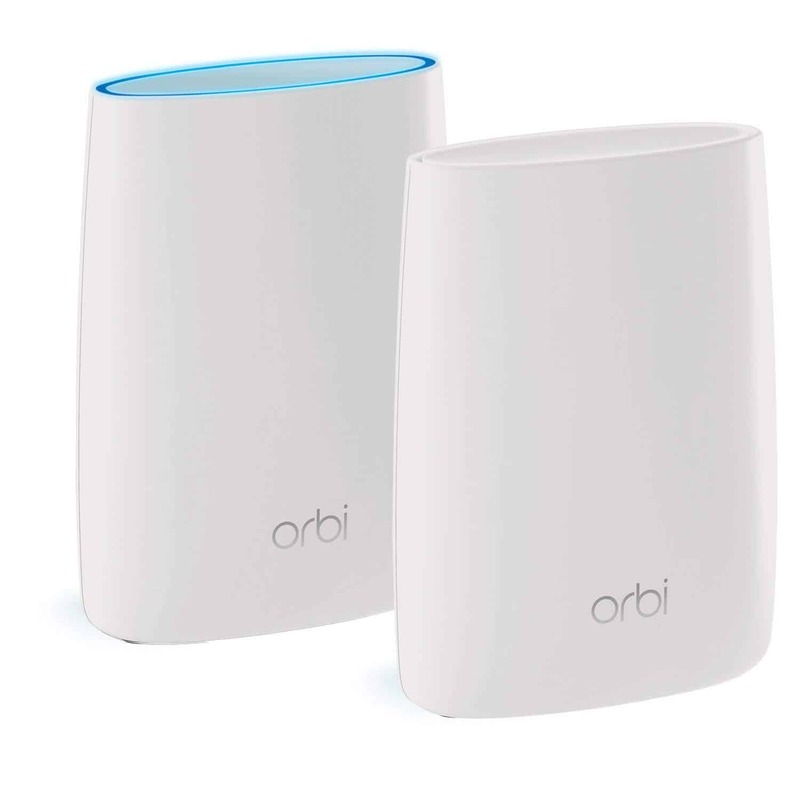 Take control of your Wi-Fi network and improve connectivity all around your home with the Netgear Orbi mesh Wi-Fi system. It provides the best connectivity money can buy, and it couldn’t be easier to manage. This kit covers 5,000 square feet of space with tri-band technology that ensures you don’t lose speed when new devices are added. It also supports guest network access and Amazon Alexa support. The Orbi system is normally priced at around $350, but for a limited time, you can buy a refurbished system from Woot for just $199.99. Grab yours before they’re all gone! Best Buy has slashed up to 50 percent off refurbished car head units — including some with CarPlay support. 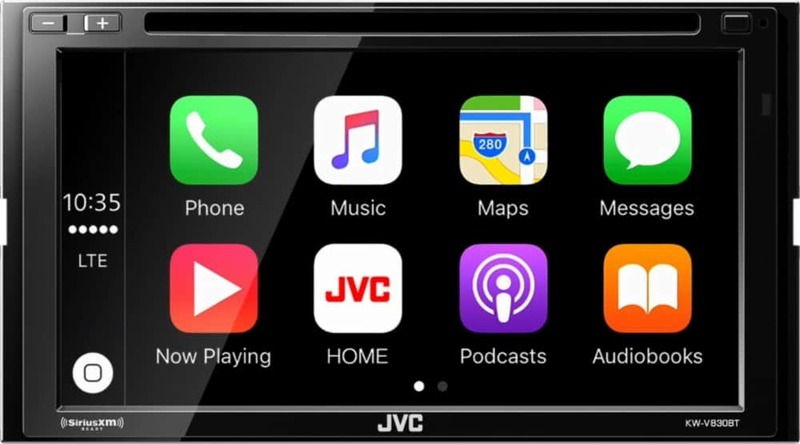 JVC and Kenwood models are available for as little as $299.99. Because these are certified refurbished devices, there’s only so many available, and once they’re gone there’s no guarantee they’ll be back. If you see a head unit you want, then, grab it today before it’s too late. 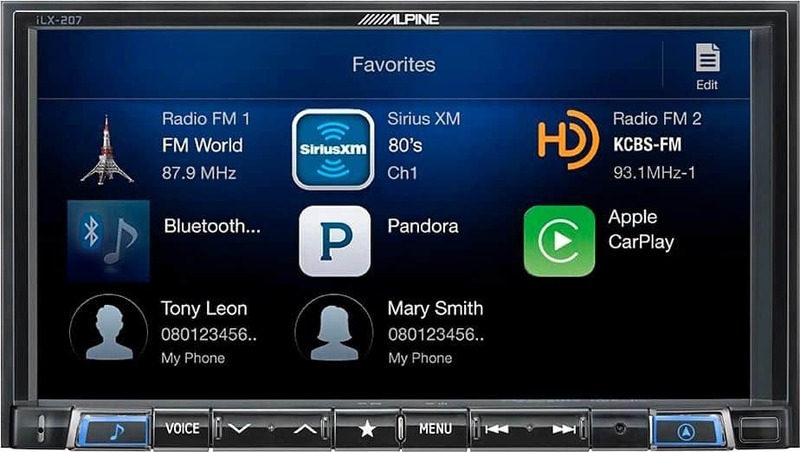 Follow the link below to find all reduced head units in one place. If you’re yet to experience virtual reality, you’re missing out. It’s a world of fun and entry doesn’t have to be expensive. This VR viewer from Best Buy is compatible with most iPhones, and for today only, you can get it for just 99 cents. That’s $9 off the normal price! Simply load up a VR app on your iPhone, slot your device inside, and enjoy an incredibly immersive experience that will blow you away. But be warned: Once you’ve had a taste or VR, you’ll want more of it! Buying an iPhone doesn’t have to break the bank. In fact, choose a slightly older model and access to the Apple ecosystem can be incredibly affordable — and with iOS 12, they’re still delightfully snappy. Best Buy is currently offering prepaid iPhones at incredible prices. You can pick up an iPhone SE with 32GB of storage for under $140, or an iPhone 6 with 32GB of storage for under $180. Follow the link below to find all the iPhone deals in one place. 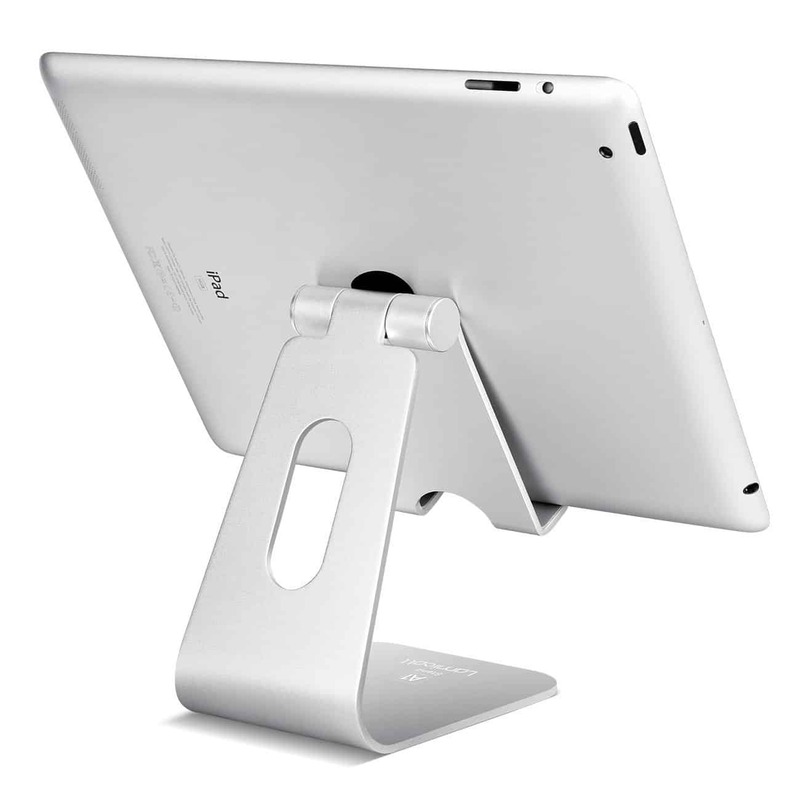 Turn your iPad into a mini iMac with this gorgeous adjustable stand that’s compatible with almost any phone or tablet. Made out of aluminum, it’s built to last and looks right at home alongside your other Apple devices. And because it’s adjustable, you can find the perfect viewing angle no matter what you’re doing. Get yours today on Amazon for $10.96 — 31 percent off the usual price. If you own a recent MacBook or MacBook Pro, you need a USB hub to connect all your peripherals. Belkin’s solution is an excellent choice, with 2 USB-C ports, 3 USB 3.0 ports, 1 HDMI port, and 1 Ethernet port. Get yours today from B&H Photo for just $99.99 — $50 off its usual price. 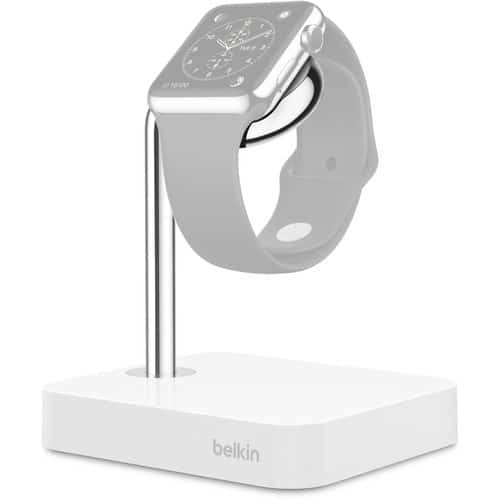 Charge your shiny new Apple Watch in style with the Belkin Watch Valet charging dock. It boasts an integrated magnetic charger, a weighted base that means it won’t fall over easily, and it plays nicely with any Watch band. It’s also chrome-plated so it looks great on any desk or nightstand. Get yours now from B&H Photo for just $34.99 — $55 off its usual price. Treat yourself to an iPad case that’s almost as attractive as your iPad itself. 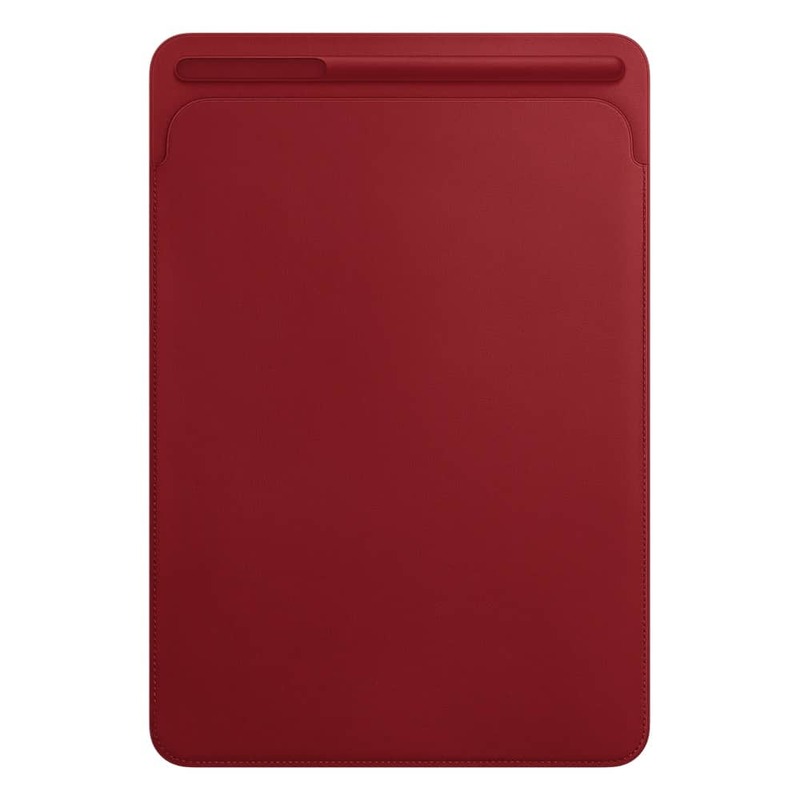 Best Buy is offering up to $25 off official Apple iPad cases, including the Leather Smart Cover and Leather Sleeve for iPad Pro. Follow the link below to find all reduced options in one place. Don’t settle for weak Wi-Fi with dead spots. 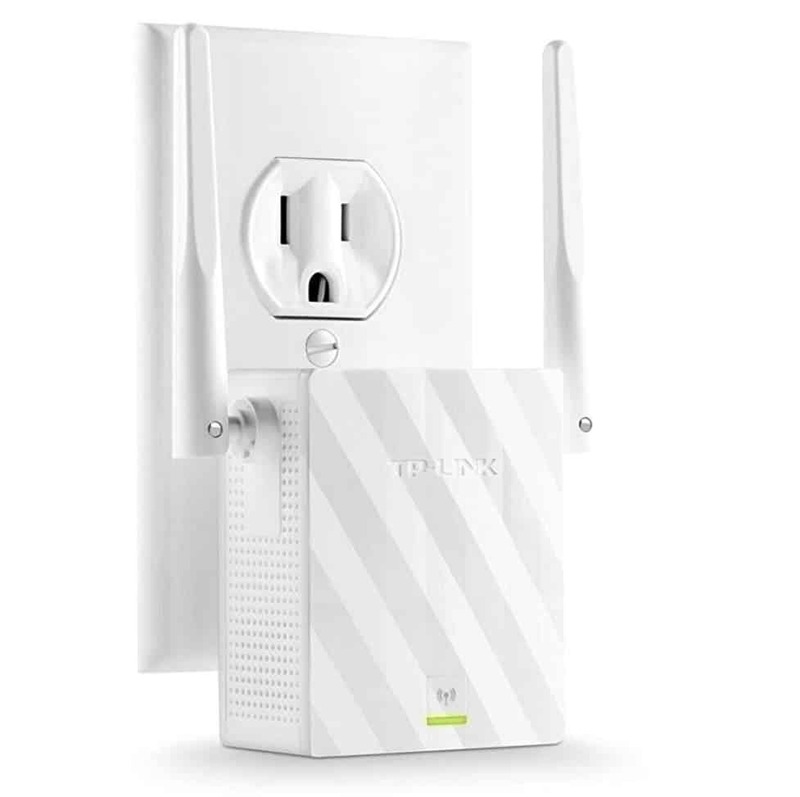 Pick up the TP-Link N300 Wi-Fi range extender on Amazon and improve the connection all around your home for just $17.99 — $12 off the usual price. Milanese Loop bands for Apple Watch don’t have to be wildly expensive. 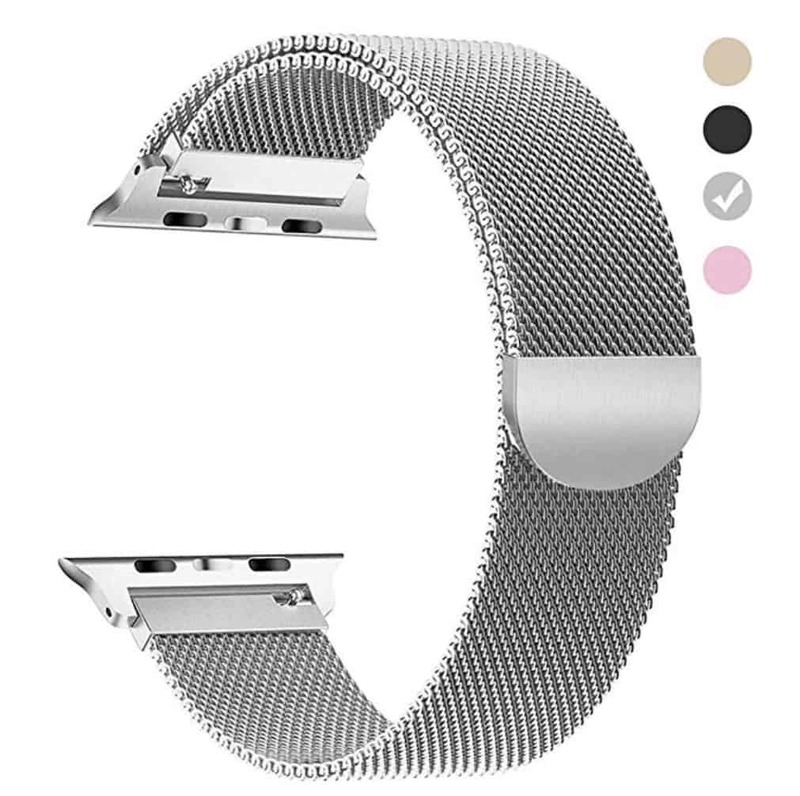 Tirnga, via Amazon, offers its bands in four different colors in 38mm and 42mm sizes, and manufactures them using a quality stainless steel mesh so that they’re almost as good as the real thing. Tirnga bands have a 4.5-star rating on Amazon after more than 900 reviews, and they’re perfectly compatible with all Apple Watch variations — including the brand new Series 4. Get yours now for just $7.49 when you use the code NPXMFVM6 at checkout. If your budget doesn’t quite stretch to cover the fancy new Apple Watch Series 4, treat yourself to a discounted Series 3 instead. Best Buy has slashes prices on refurbished models for a limited time so you can save up to 20 percent. Both 38mm and 42mm models are available with LTE connectivity in a range of styles. Prices start at just $299.95. 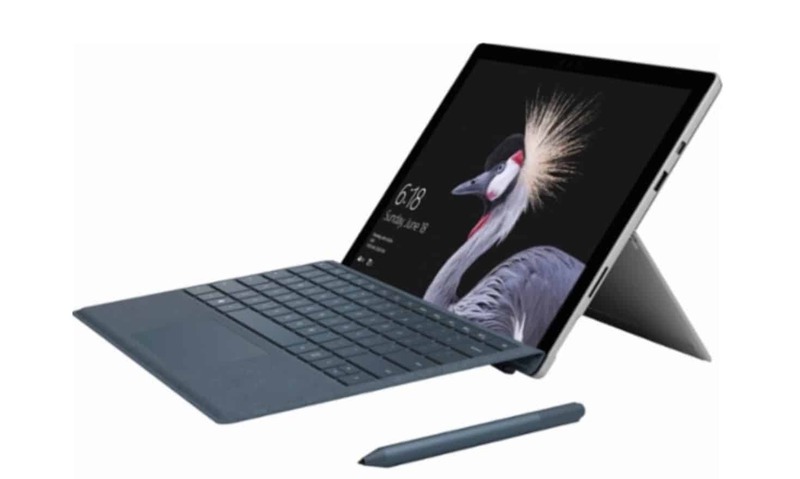 If you can’t wait for Apple’s MacBook Air replacement any longer, perhaps a discounted Microsoft Surface Pro is the upgrade you’re looking for. Best Buy has a stellar deal on the Intel Core m3 model with 4GB of RAM and 128GB of storage, which is down to just $549.99 — $250 off its usual price! — for today only. You can also save $200 on the Core i7 model with 8GB of RAM and 256GB of storage, which is down to $1,399. Follow the link below to bag yours before the price goes back up. 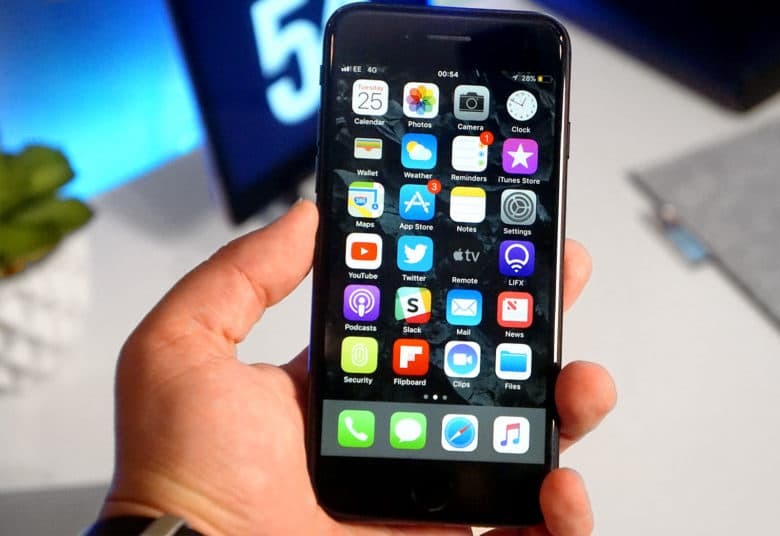 Apple’s newest smartphones aren’t cheap, but they can be more affordable with the right deal. 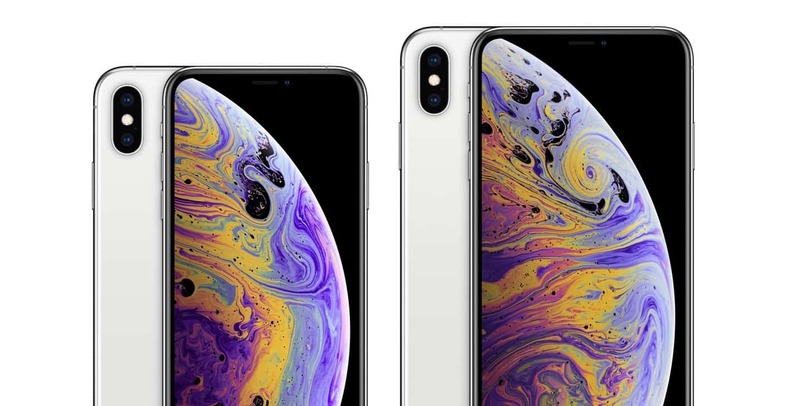 Best Buy has a bunch of big offers on the iPhone XS and iPhone XS Max, like $700 off when you buy a new device and add a second line, or a $245 gift card when you trade-in your an iPhone 7 or newer. 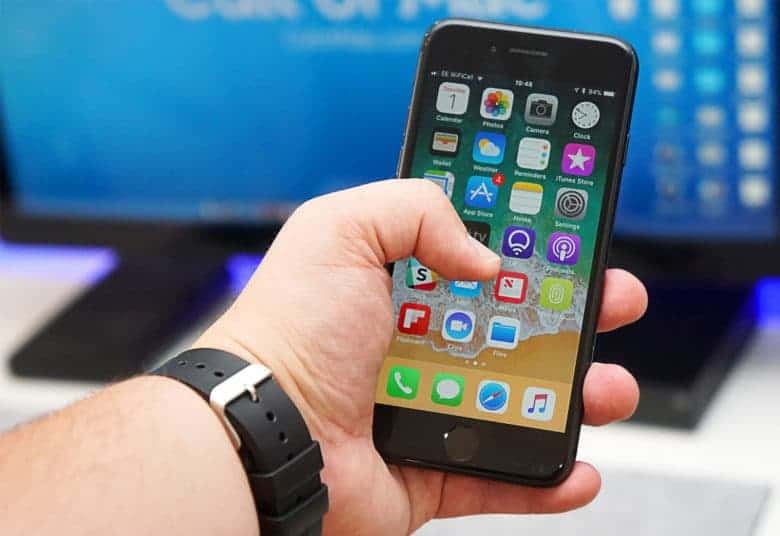 Check out all of Best Buy’s deals on the iPhone XS lineup by following the link below. You can never have too many USB ports. Get the TP-Link hub and add nine additional ports to your machine with 5 Gbps transfer speeds over USB 3.0 and smart charging technology for your favorite mobile devices. The hub has a 4.5-star rating on Amazon after more than 290 reviews. Bag yours today for just $29.99 — $20 off the usual price. Wireless headphones don’t have to be expensive. 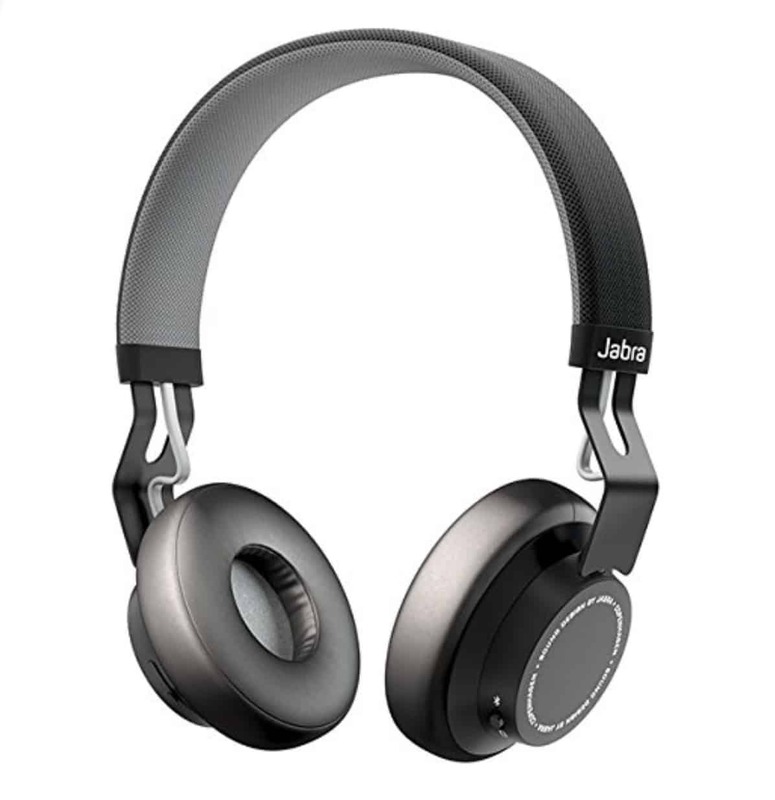 The Jabra Move offer a lightweight design with impressive stereo sound, a built-in microphone for taking calls, and up to 8 hours of battery life on a single charge. They’re so good, they’ve earned a four-star rating on Amazon after more than 1,300 reviews. Get yours today for just $49.99 — half off the usual price. Amazon just unveiled its brand new Echo Dot, with an improved design and better sound. You can already save on yours by buying two together for $99.98 — $10 off the usual price. Simply add two Dots to your cart on Amazon.com and the discount will be applied automatically. Your speakers will arrive on or after October 11 when the third-generation Dot makes its official debut. Thanks to iOS 12, even Apple’s older devices feel buttery smooth. 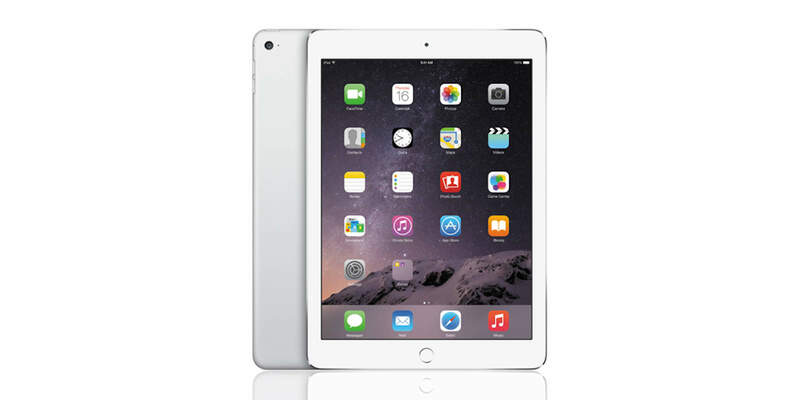 If you need an iPad that’s plenty good enough for browsing the web, staying up to date with your social networks, and even playing games, check out this incredible deal on the iPad Air. Woot has a bunch of refurbished models available with prices starting at just $199.99 for Wi-Fi connectivity and 64GB of storage. You can also get LTE connectivity for just $219.99. Because these are refurbished devices, they won’t be around forever. Go get yours while you still can! Get the party started with a Beats Pill+ speaker and enjoy rich stereo sound with beefy bass. It lasts up to 12 hours on a single charge and packs a microphone for phone calls, plus you can combine it with another Pill+ for even bigger audio. 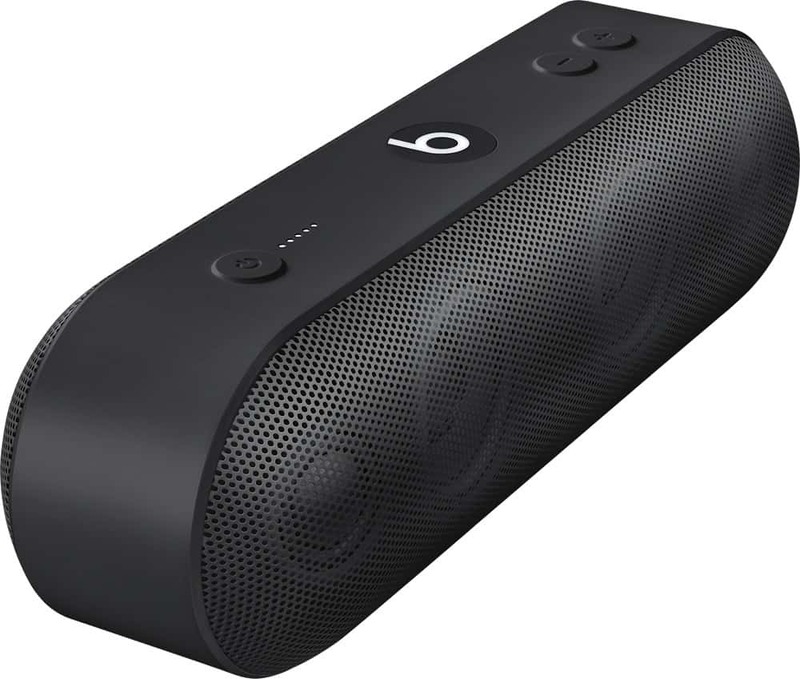 Buy your Beats Pill+ from Best Buy today and you’ll pay just $113.99 — that’s less than half price! You don’t need to buy a new car to enjoy CarPlay. Best Buy offers a range of head units with CarPlay support from the likes of Alpine, Kenwood, JVC, and Pioneer — and some models are currently discounted by up to $100. Bag yours before this deal ends by following the link below, where you’ll find all discounted models in one place. 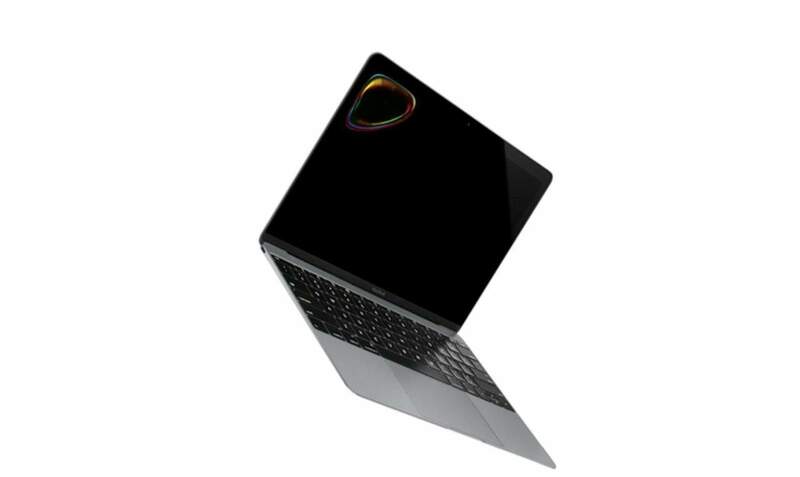 Save a ton on a 12-inch MacBook by buying open box! Woot has a great deal on new units that have been opened but never used, and prices start at just $764.99. They pack an Intel Core m5 processor, 8GB of RAM, and 512GB of storage. Buy yours from Woot instead and you’ll pay just $269.99 for exactly the same model. Each unit is factory reconditioned to be as good as new and comes with a 90-day LG warranty. They’re aren’t many left, however, so claim yours before they’re all gone! 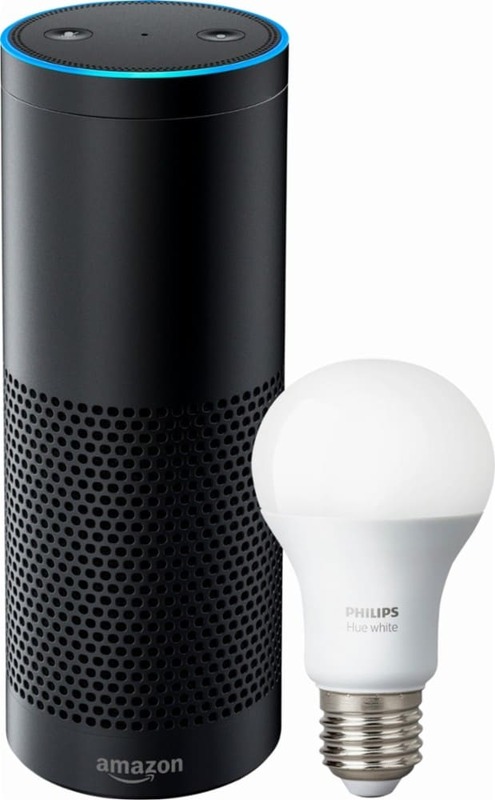 Start your smart home dream with a discounted Amazon Echo Plus speaker and free Philips Hue bulb. The Echo Plus offers excellent sound quality and more than 30,000 Alexa skills. It also includes a ZigBee smart home hub, which allows for simple and direct setup of compatible ZigBee lights, locks, sensors, plugs, and in-wall switches from brands like Philips Hue, GE, and Yale. Get yours today with a Philips Hue smart bulb from Best Buy for $99.99 — $50 off its usual price. Amazon’s Echo Show speaker has been on sale for just over a year now, and Amazon keeps slashing its price tag. If you missed the chance to save $100 the last time it was reduced, you’ll be pleased to know the discount is back. 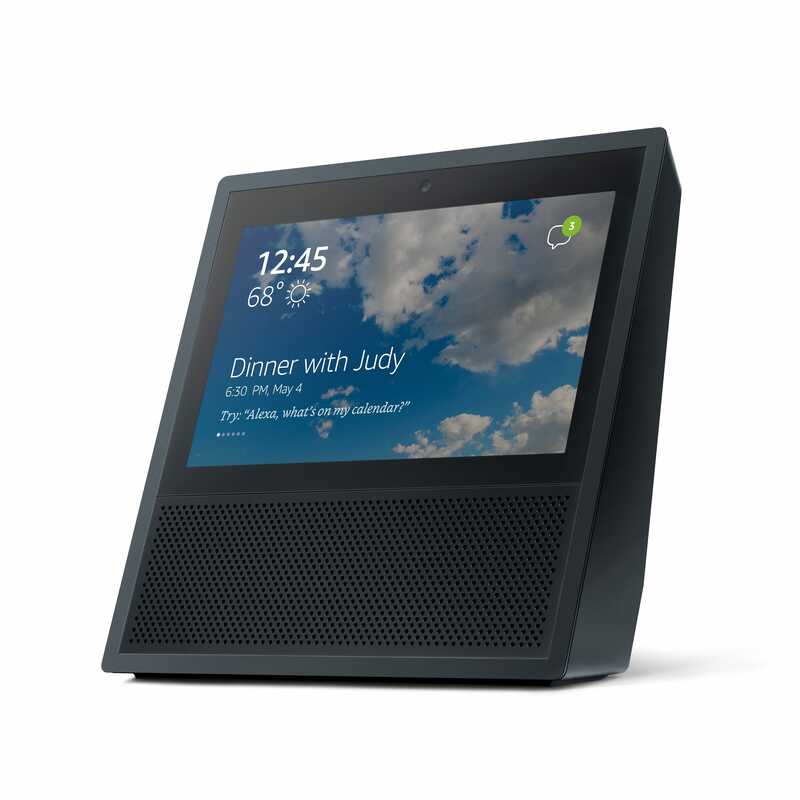 The Echo Show offers everything you’d expect from an Echo speaker with Alexa, including stellar sound, plus the ability to watch videos, view images, and lots more. Gets yours today $129.99. If you’re going to spend $1,000 on an iPhone XS, you want to be sure you don’t ruin it. A screen protector will prevent its glass from getting scratched, and it’s one of the cheapest ways to keep it looking like new. 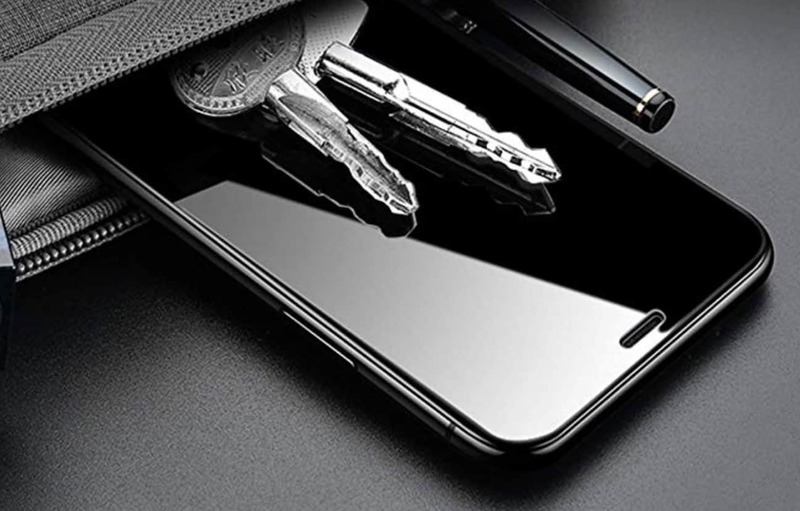 This tempered glass protector is super-strong and a steal on Amazon for just $8.49 after a 15 percent discount. It’s also compatible with the iPhone X if you have no plans to upgrade this year. Want to see your iPhone while it’s charging? 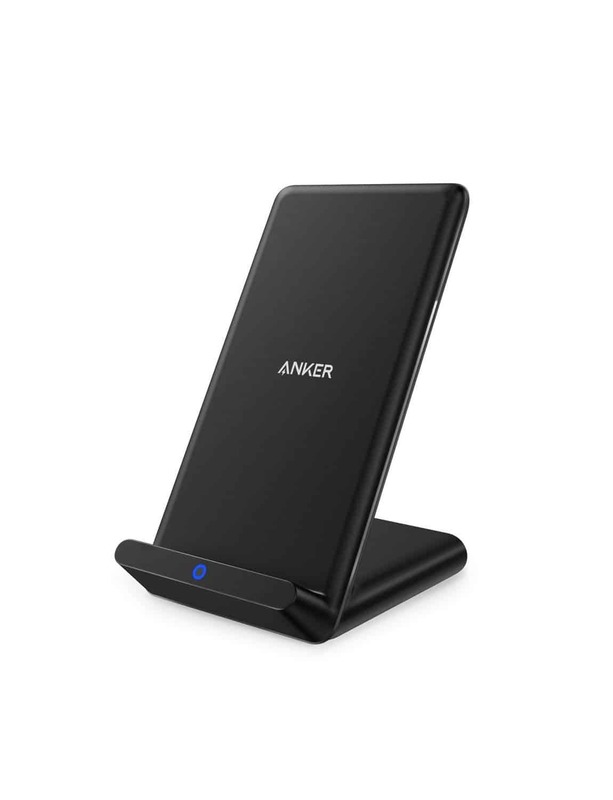 The Anker wireless charging stand holds it up so that you don’t have to break your neck to view your notifications. It’s compatible with any device that supports the Qi charging standard, and thanks to PowerPort Wireless technology, it promises to charge 10 percent faster than other 5W wireless chargers. Get yours today on Amazon for $17.49 — down from $25.99. 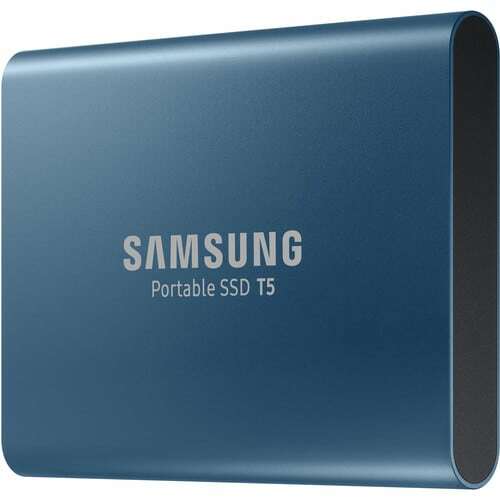 For speedy solid-state storage you can take anywhere, pick up this Samsung portable drive. It’s small enough to slip into any bag, and with 500GB of space, it’s ideal for taking photos, movies, and music wherever you go. 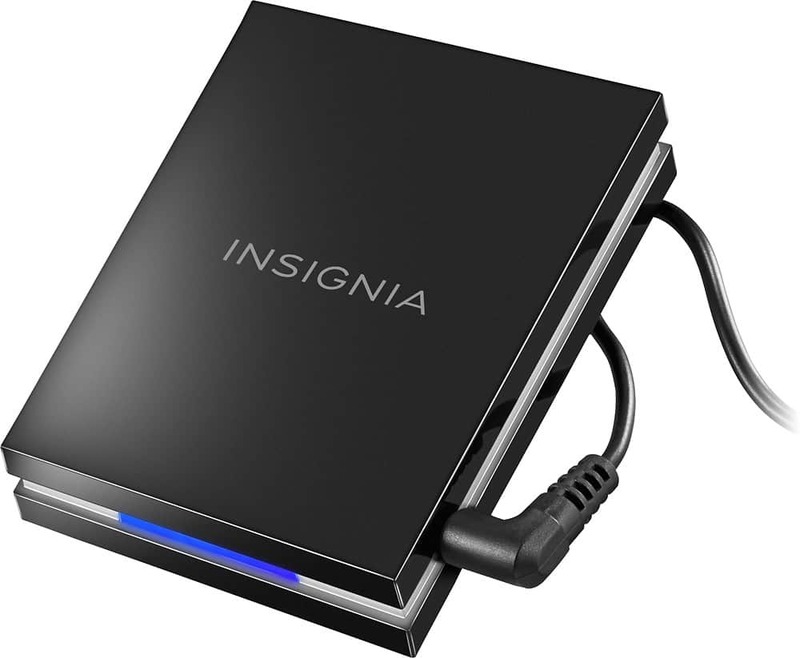 The drive supports USB-C and traditional USB-A connections, so it’s ideal for any Mac, and it can transfer data at up to 540MB per second. Get yours now from B&H Photo for just $99.99 — $55 off the usual price. 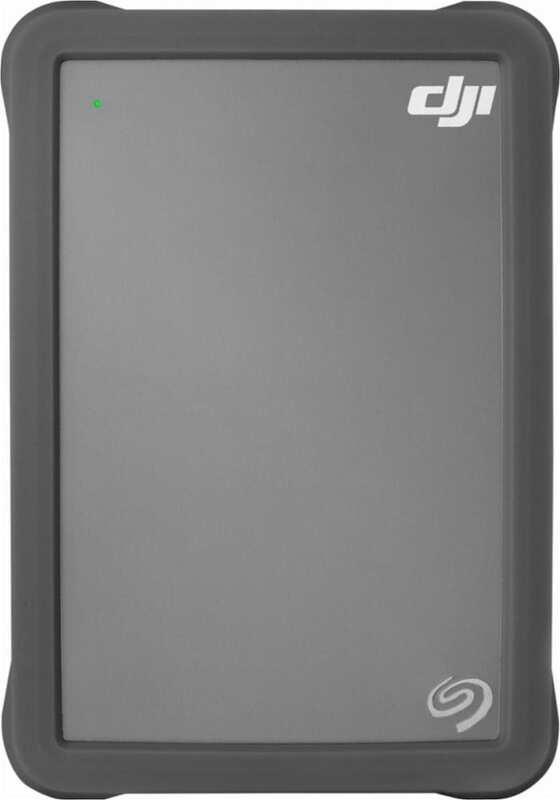 If you’re forever running out of storage, you need an external hard drive that packs ample space. 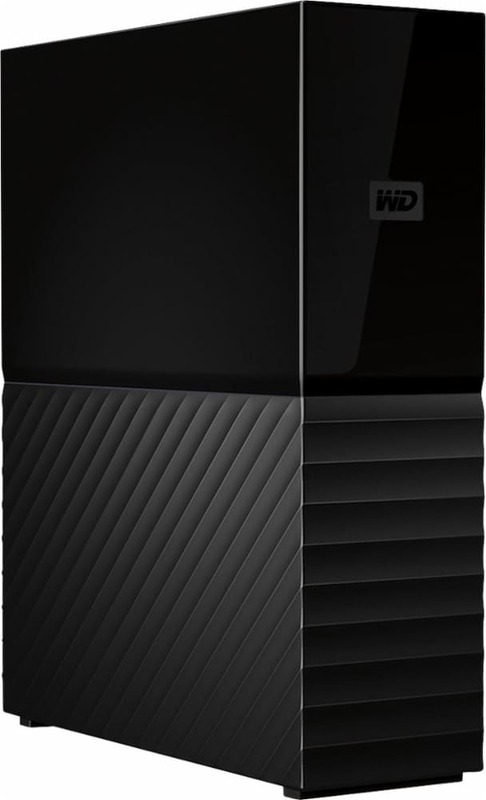 Check out the My Book from Western Digital, with a whopping 10TB of space, super-fast transfer rates over USB 3.0, and 256-bit encryption. It’s compatible with Time Machine on your Mac, and right now you can get yours from Best Buy for $249.99 — $50 off the usual price. You’d be crazy to spend full price on a MacBook right now, with big discounts to be had from a whole host of big retailers. Best Buy’s latest offer sees up to $600 slashed off the MacBook Pro, up to $100 off the 12-inch MacBook, and up to $100 off the MacBook Air. Best Buy’s discounts on Apple machines are changing all the time, so if you see the model you want at a great price, grab it before it’s too late. 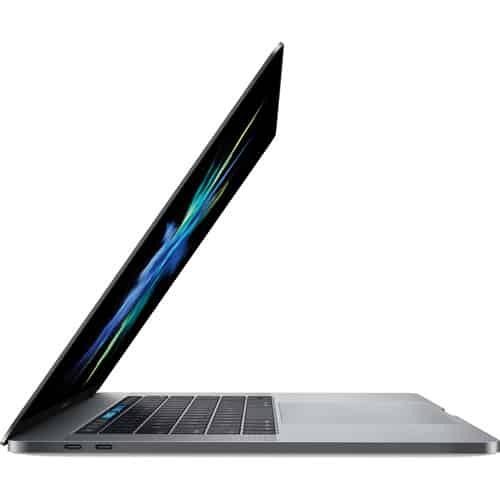 You’ll find all discounted MacBooks by following the link below. If Apple’s latest smartphone lineup doesn’t impress you, maybe this deal on Samsung’s latest Galaxy S smartphones can. Best Buy is offering up to $150 off the Galaxy S8 and up to $200 off the Galaxy S9 and Galaxy S9+ when you activate a new line with Sprint. Alternatively, buy them unlocked to save up to $100. The Galaxy S9 series is widely regarded as the best money can buy if you use Android. Both devices pack stunning Infinity Displays, high-end specifications, and some of the best smartphone cameras. They’re also first in line for Samsung’s Android 9.0 Pie updates. Bag yours before this deal ends by following the link below. Best Buy is currently running a big Apple shopping event, with discounts to be had on MacBooks, iPads, Apple Watches, and more. Highlights include up to $450 off the MacBook Pro, up to $50 off the iPad Pro, and $250 off a 27-inch iMac. Just follow the link below to find the best deals before they end. Need a pair of wireless headphones that deliver big sound? 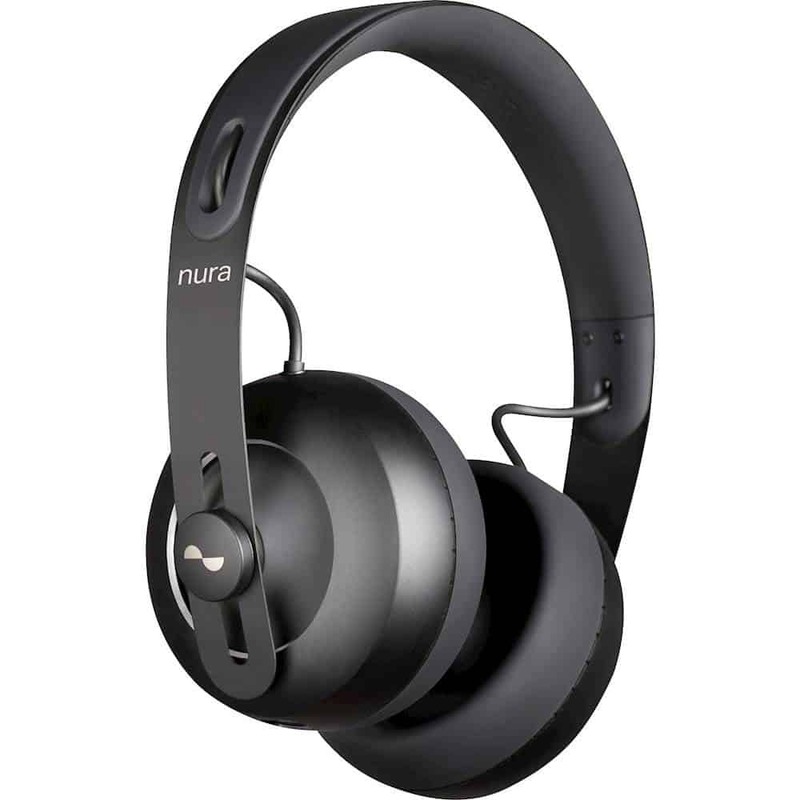 Get the Nuraphone over-the-ear headphones with premium audio quality, up to 20 hours of use on a single charge, a built-in microphone for calls, and active noise cancellation. They’re usually priced at $399.99 — they’re that good! — but for today only, you can get yours at Best Buy for $299.99. 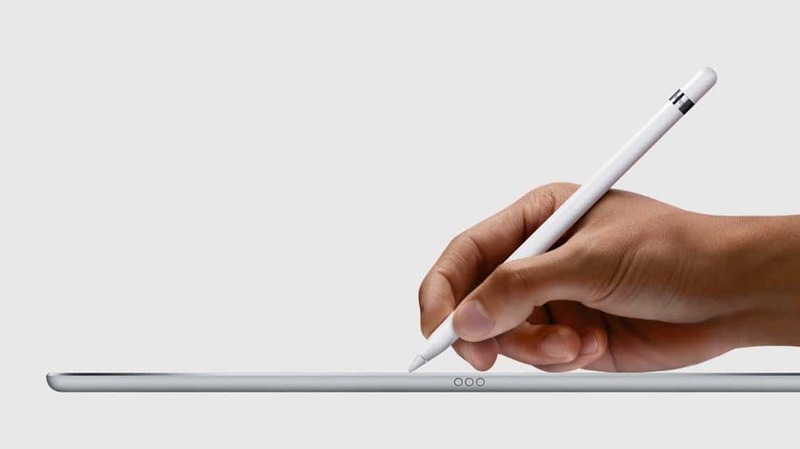 Best Buy’s discounts on certified refurbished products also includes the Apple Pencil, which can be yours for $84.99 — $15 off its usual price. Refurbished products don’t stick around for long, so bag yours before it’s too late! 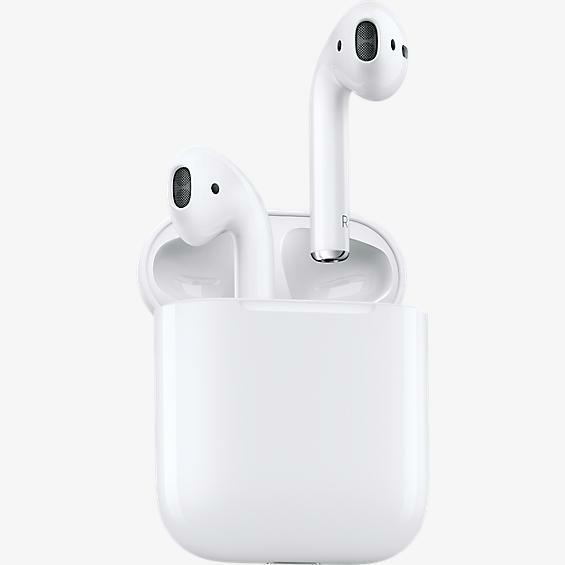 If you’ve been eyeing up a pair of AirPods but don’t want to pay full price, check out the latest deal from Best Buy. It has slashed 30 percent off certified refurbished models, which means you can get yours for just $129.99 — down from $159.99. Grab them now before they’re all gone! If you never have enough power outlets, you need a decent power strip. How about one that would right at home alongside your Mac Pro? 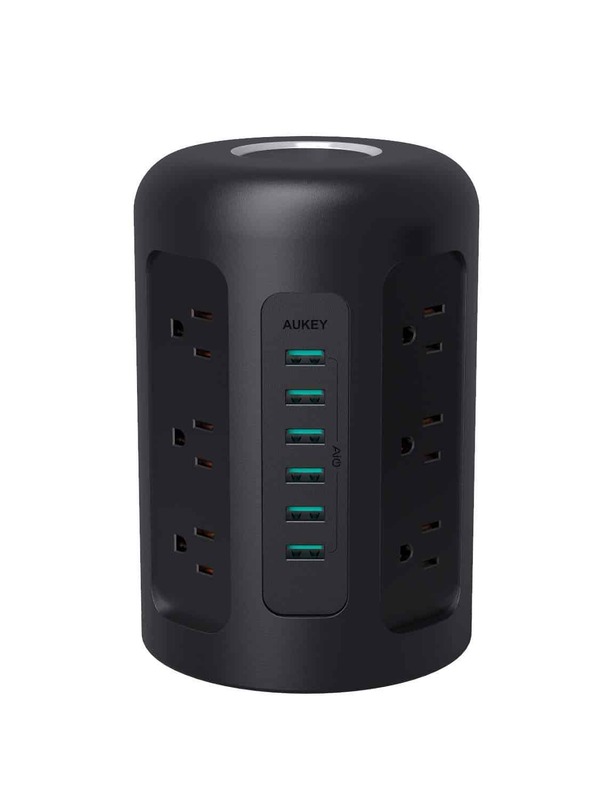 The Aukey Power Strip boasts six USB ports and 12 AC outlets, plus a five-foot heavy duty cord. It’s perfect for your home office, and now 29 percent cheaper on Amazon. Get yours today for just $35.99 — down from $50.99. What’s the point in risking your life in extreme sports if you don’t capture it on video? 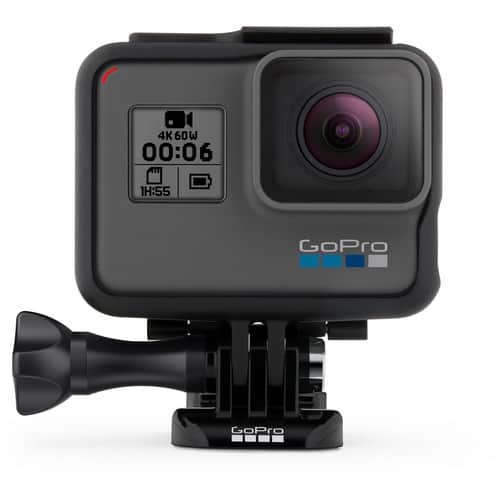 Get the GoPro Hero 6 Black from B&H Photo today and you’ll pay just $349 — $50 off the usual price. This model supports 4K video recording at 60 frames-per-second, 1080p recording at a whopping 240 frames-per-second, and 12-megapixel photos. Need additional storage for your MacBook that you can take anywhere? Pick up the Seagate DJI Fly Drive with USB-C connectivity and 2TB of storage for just $49.99 — $70 off the usual price. This is another of Best Buy’s Deals of the Day, so you’ll need to order yours as soon as possible to take advantage of the deal. Bag a MacBook Air for $700, today only! Apple didn’t deliver the affordable laptop we were all hoping for during yesterday’s big keynote, but don’t be too disappointed. If you really need a fairly cheap MacBook now, check out this awesome deal on the MacBook Air. For today only, Best Buy is offering a 13-inch model with an Intel Core i5 processor, 8GB of RAM, Intel HD Graphics 6000, and 128GB of storage for just $700. That’s $150 off the usual price! Again, this discount is good for today only, so take advantage of it while you can! Now that Apple’s new Apple Watch and iPhone lineup are official, the value of its older devices has dropped. Apple has already slashed prices on iPhone 7 and iPhone 7 Plus, as well as Apple Watch Series 1, Series 2, and Series 3 in its refurb store. A refurbished iPhone 7 with 32GB of storage can now be bought for as little as $379 — down from $499. The iPhone 7 Plus starts at just $479 — down from $599. Refurbished Apple Watches now start at $169 for a 38mm Series 1 unit, while a 42mm model is $189. Apple Watch Series 2 sells for as little as $249, while the Series 3 is down to just $259. Refurbished products are available in a limited supply, so grab them now before they’re all gone! Don’t pay full price for a MacBook Pro. B&H Photo is still offering 13-inch models with a Touch Bar for up to $400 off. This model, which features an Intel Core i5 processor, 16GB of RAM, 512GB of storage, and Intel Iris Plus Graphics 650 is now just $1,799 — down from $2,199. 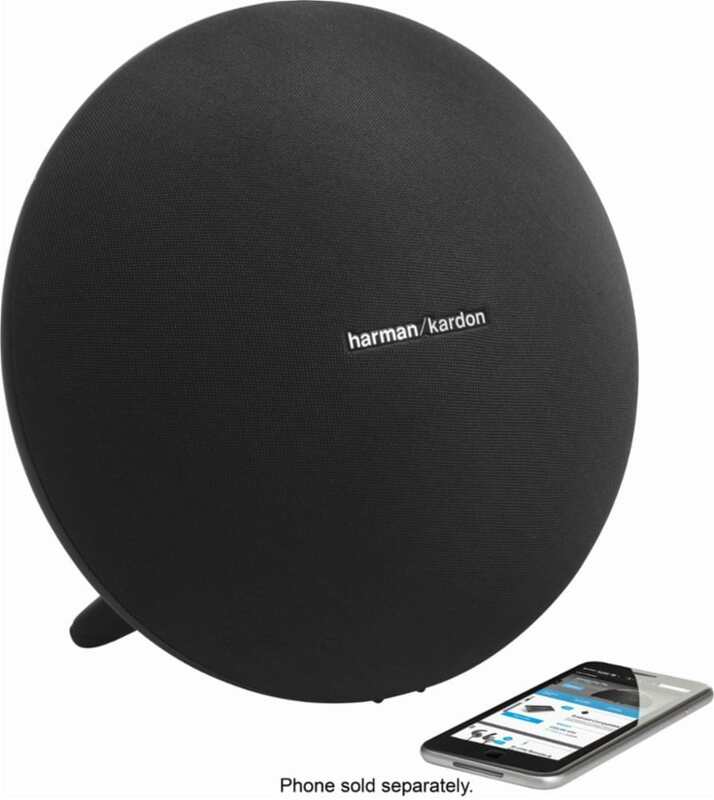 Harman Kardon speakers offers stellar sound quality, and as a result, they’re usually pretty pricey. But that doesn’t mean you have to miss out. This incredible deal from Best Buy makes the Onyx Studio 4 portable Bluetooth speaker incredibly affordable. Enjoy 60W of power, a 50 kHz to 20 kHz frequency response, a built-in microphone, and a battery that lasts eight hours in between charges for just $144.99. That’s a whopping $305 off the usual price tag! Control electricals from your iPhone with a TP-Link HS100 smart plug. 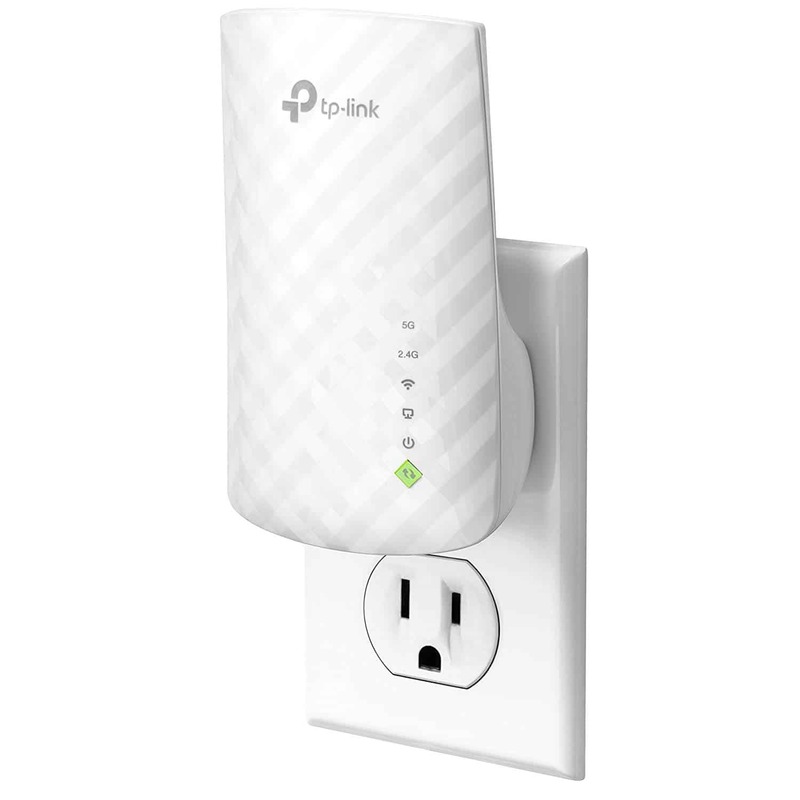 Install it between a mains outlet and any electrical device to toggle power over Wi-Fi. You can even use your voice if you have a device with Amazon Alexa. 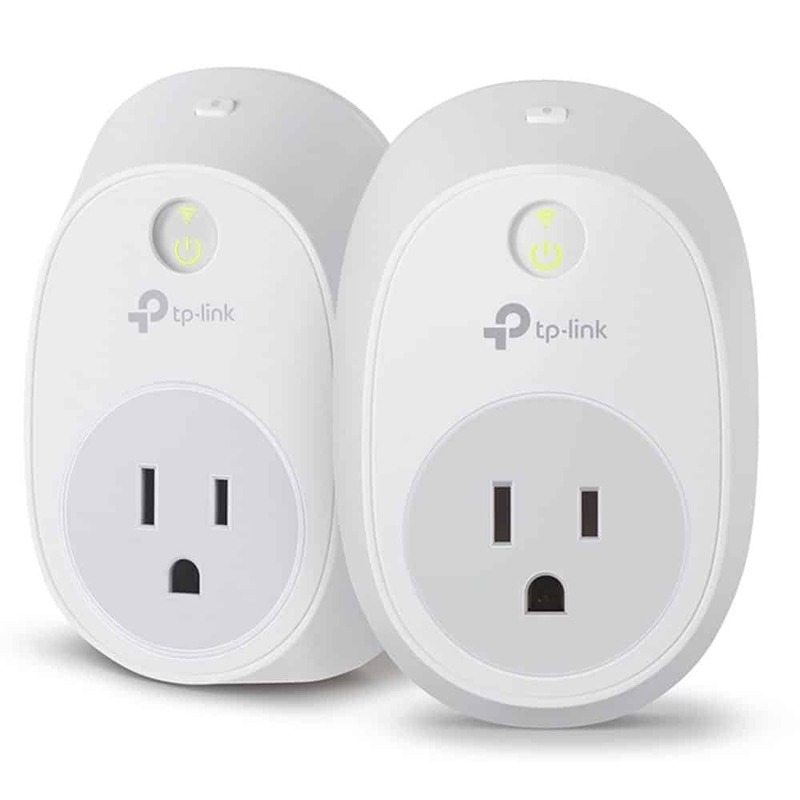 Get a pack of two from Smarthome now for $54.99 — $24.99 off the usual price. 80 percent of available units have already been claimed, so jump on this deal quickly before it’s gone. Done with Lightning cables that are forever breaking? Charge your iPhone 8, iPhone 8 Plus, or iPhone X wirelessly with the Insignia wireless charging pad. It’s compatible with any smartphone that uses the Qi charging standard, including most Android devices, and its compact design looks good on any table, desk, or nightstand. Get yours from Best Buy now for just $14.99 — $10 off the usual price. Need an ultra-affordable laptop that’s small enough to take anywhere? 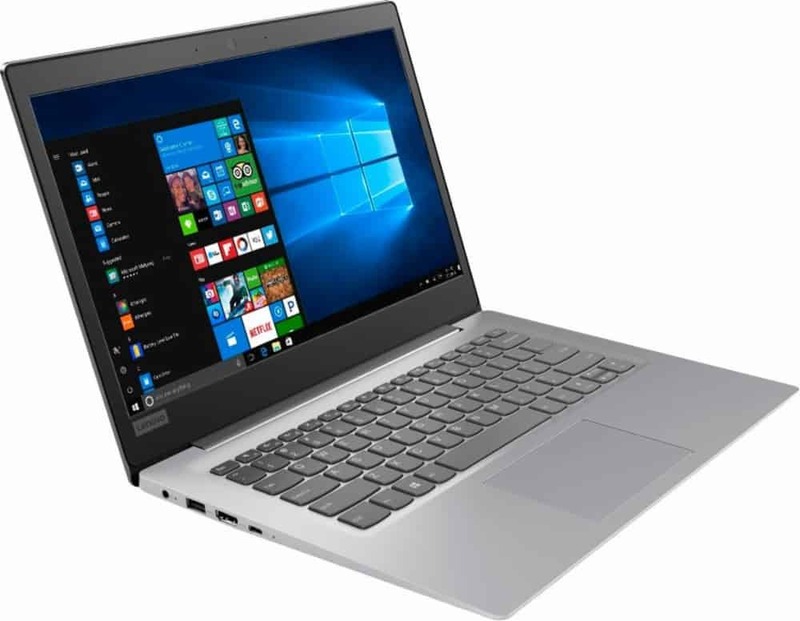 Pick up the Lenovo IdeaPad 120S at Best Buy for under $150. That’s $100 off its usual price tag! You get an Intel Celeron processor, 2GB of RAM, and 32GB of internal storage. A one-year subscription to Microsoft Office 365 is also included. Some household chores don’t have to be hard work. You can let the Roomba 690 do all your vacuuming for you. It cleans carpets, hard wood floors, and even under furniture — and you can control it all right from your iPhone. Roomba is the original robot vacuum and remains one of the best brands money can buy — especially when there’s a discount to be had. 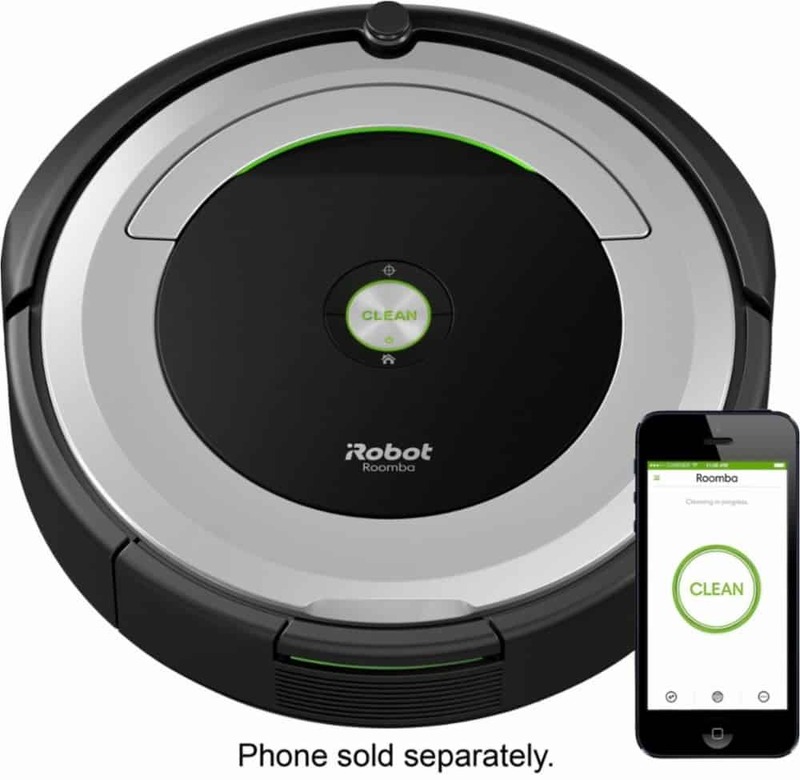 Buy your Roomba 690 from Best Buy now for $299.99 — $50 off the usual price. Not interested in the iPhone Xs? Maybe Samsung’s latest flagship can float your boat. Buy yours from Best Buy right now and you’ll get a free $150 Best Buy gift card — and a free wireless charging stand worth $69.99. 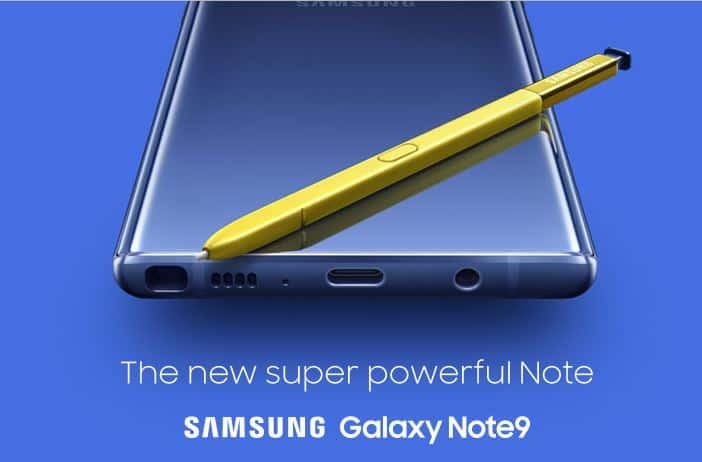 The Note 9 has been greeted by hugely positive reviews since making its debut last month. It’s widely regarded as Samsung’s best smartphone yet — and one of the few Android-powered devices that’s good enough to give iPhone X a run for its money. There’s still time to snag a high-end MacBook Pro with a whopping $800 off. B&H Photo is offering the 15-inch model with an Intel Core i7 processor, 16GB of RAM, 512GB of storage, and 4GB AMD Radeon Pro 560 graphics for just $1,999 while stocks last. Follow the link below to bag yours before they’re all gone. 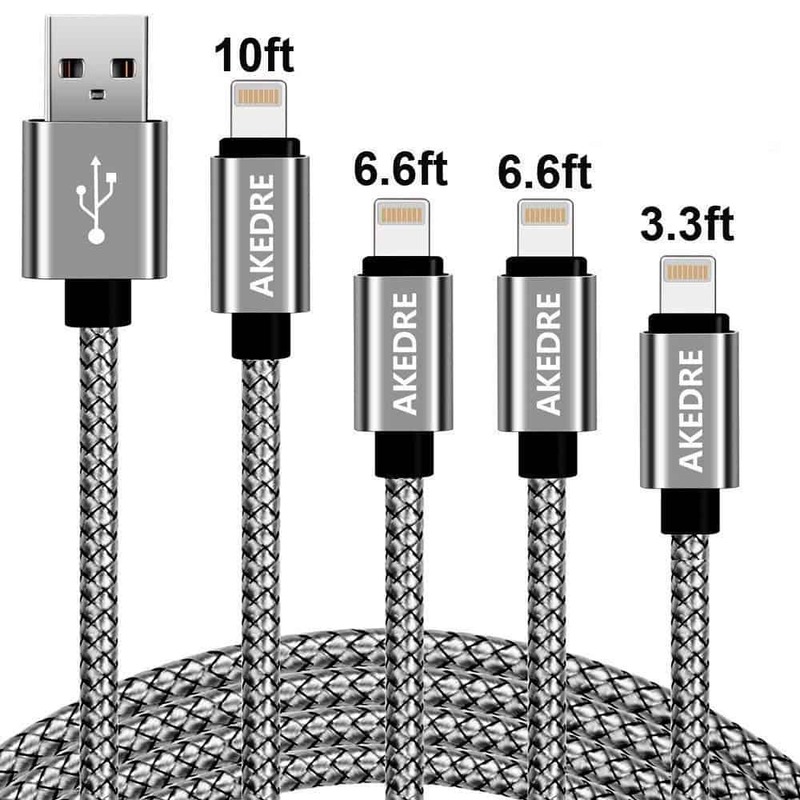 Lengthy Lightning cables can be hugely useful, and you can never have too many. 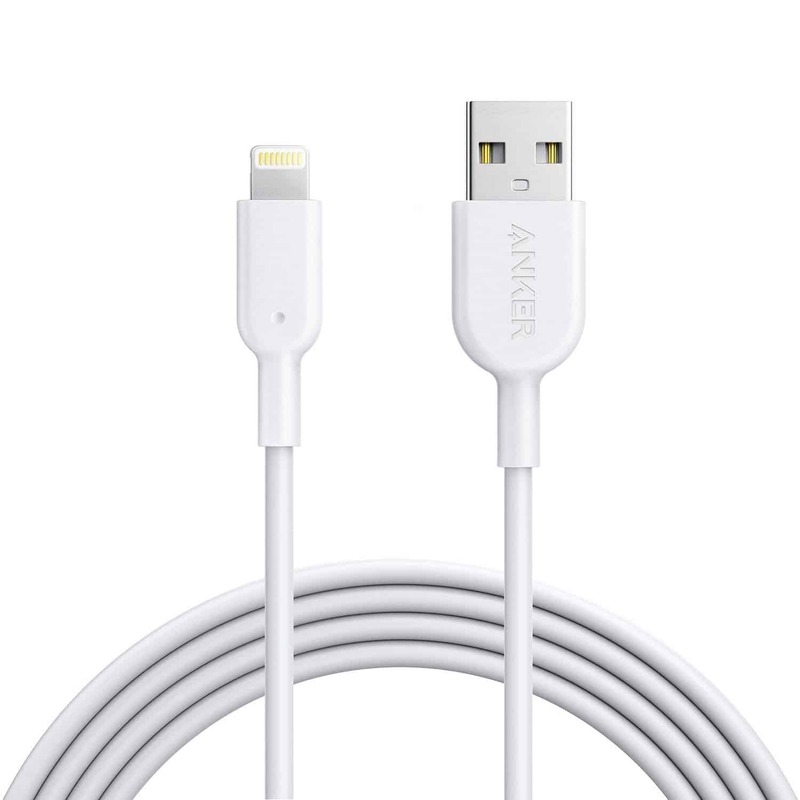 The 6-foot Powerline II from Anker is “probably the world’s most durable” Lightning cable, its makers say, and it boasts a 4.5-star rating on Amazon after more than 1,800 reviews. It’s also super-affordable right now thanks to a 49 percent discount. Get yours today for just $10.19. Never know what to wear? Let the hands-free Amazon Echo Look camera help you choose the perfect outfit. The Echo Look takes head-to-toe photos and six-second videos to see what you’re wearing and gives you a second opinion on your look from Style Check. You can compare outfits to see what goes best, and freshen up your wardrobe with recommended items that go with the clothes you already own. 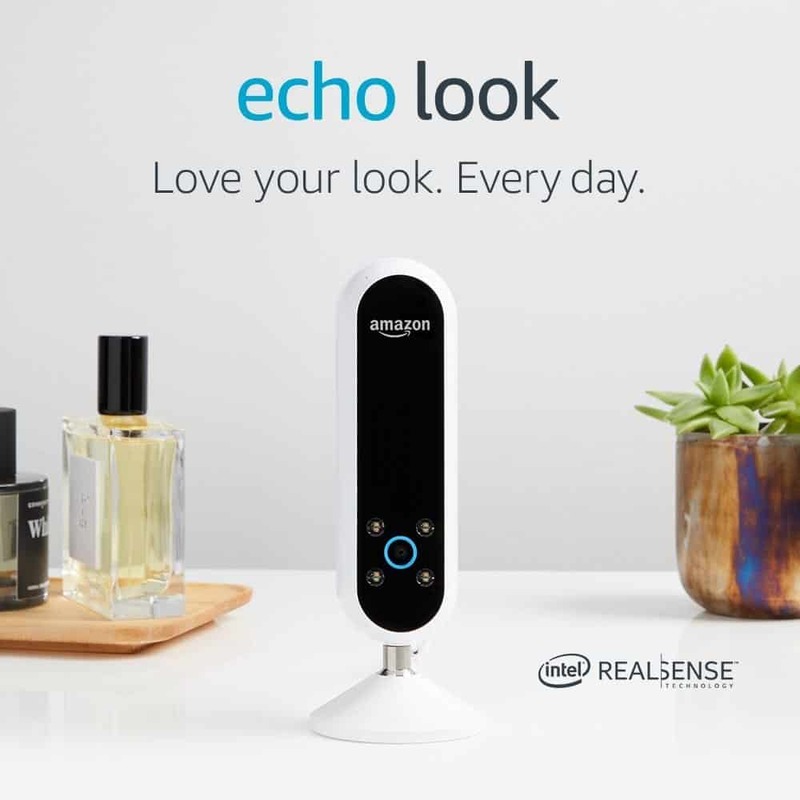 The Echo Look is normally priced at $199.99, but you can get yours on Amazon right now for just $119.99. 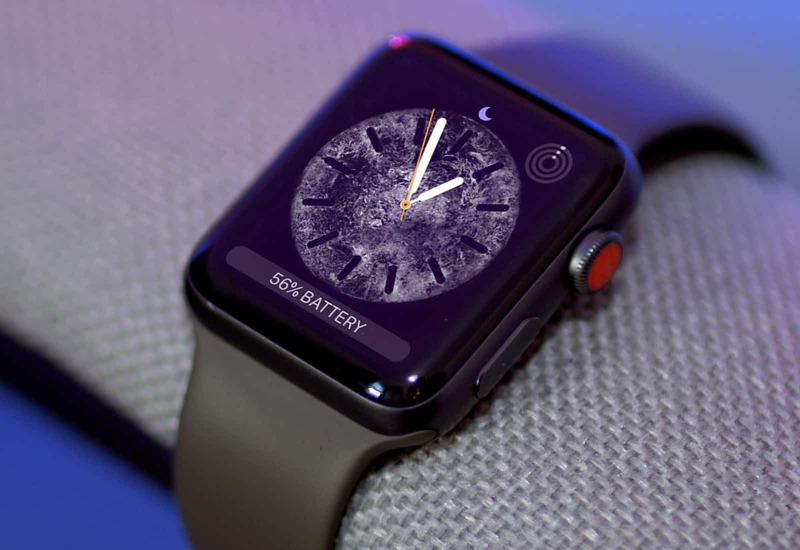 With Apple Watch Series 4 right around the corner, it’s the perfect time to buy a Series 3 at a jaw-dropping discount. 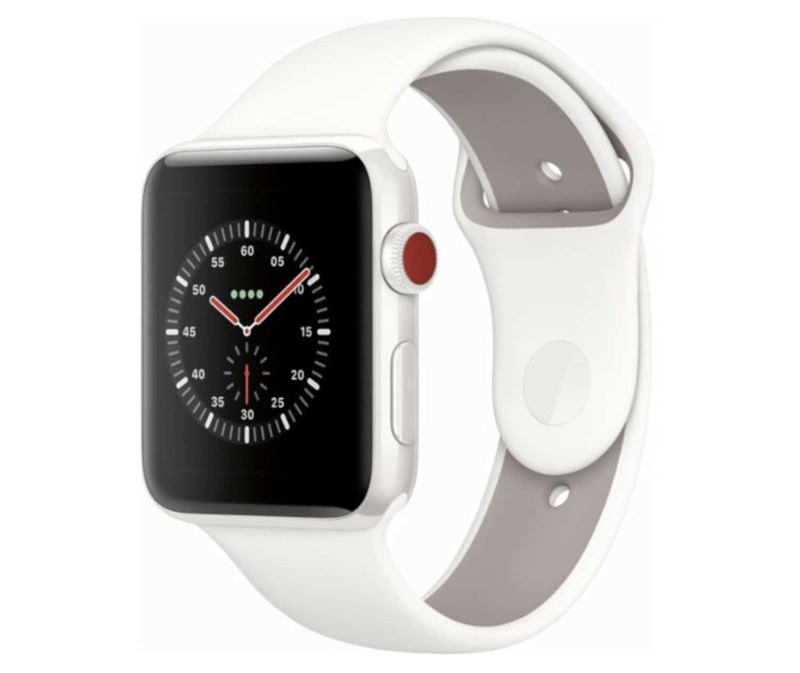 Best Buy is currently offering up to $300 off some models, including the 42mm option with a stainless steel band and LTE connectivity. The retailer has also slashed $300 off the latest Apple Watch Edition. Follow the link below to bag yours. Get the party started with Sony’s extra bass wireless headphones — a perfect match for your iPhone. The sports design ensures they won’t fall out of your ears, and with IPX4 water-resistance, you don’t have to worry about ruining them with sweat. These buds promise stellar sound quality, up to 8.5 hours of use in between charging, and stable Bluetooth connectivity. Get yours now on Amazon for $48 — $31.99 off the usual price. If you have one of Apple’s latest iPhones, you should really be taking advantage of wireless charging. It’s the easiest and most convenient way to top-up. You’ll need to purchase your own wireless charging pad, but they’re not as expensive as you might think. 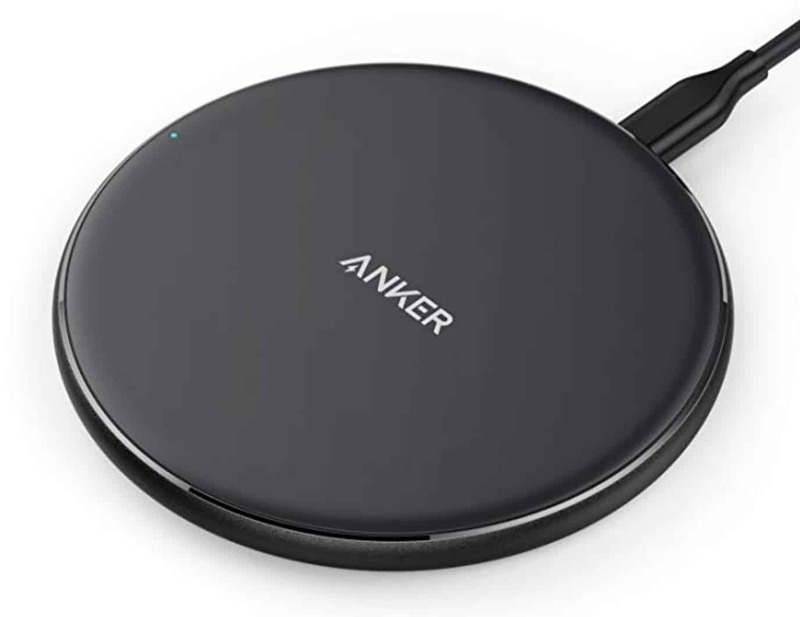 The Anker Qi-certified wireless charging pad is fully-compatible with iPhone 8, iPhone 8 Plus, and iPhone X, and charges 10 percent faster than 5W pads. It’s also a steal right now at just $15.99 — down from $20.99 — on Amazon. 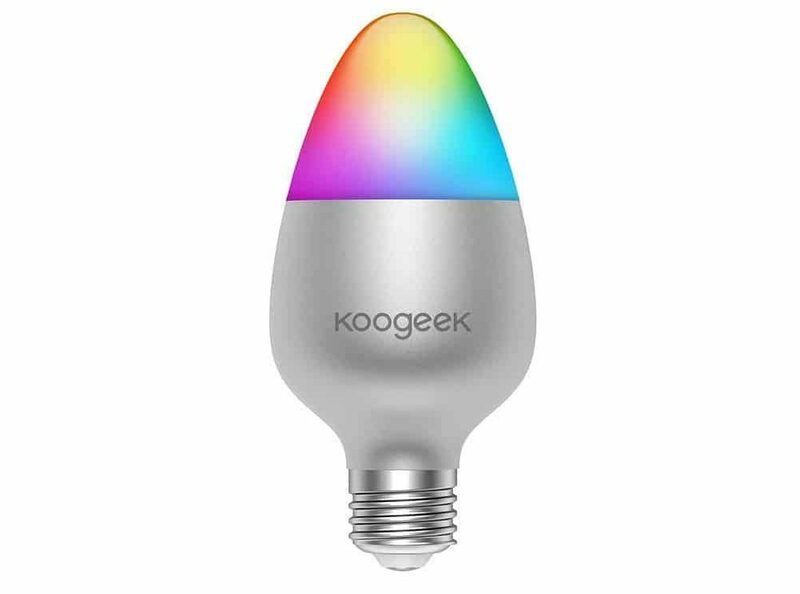 Koogeek’s LED smart bulb works like a charm with HomeKit. And, unlike some competitors, it doesn’t require a separate hub to work its smart magic. You can use the Home app to trigger scenes. Or you can use voice commands to tell Siri (or Alexa or Google Assistant) to dim the light or change it to one of 16 million colors. This 60-watt equivalent E26 bulb usually costs $39.99, but you can use coupon code I2O2GX85 to drop it to just $20.79. Pick up an iPad that lets you access the web from anywhere with LTE connectivity. Woot has an incredible deal on the refurbished iPad Air 2 with 64GB of storage, which is available for just $259.99 while stocks last. The iPad Air 2 still packs plenty of power for everyday use, and with iOS 12 on its way this fall, you can look forward to a significant speed boost that will prolong its life even further. 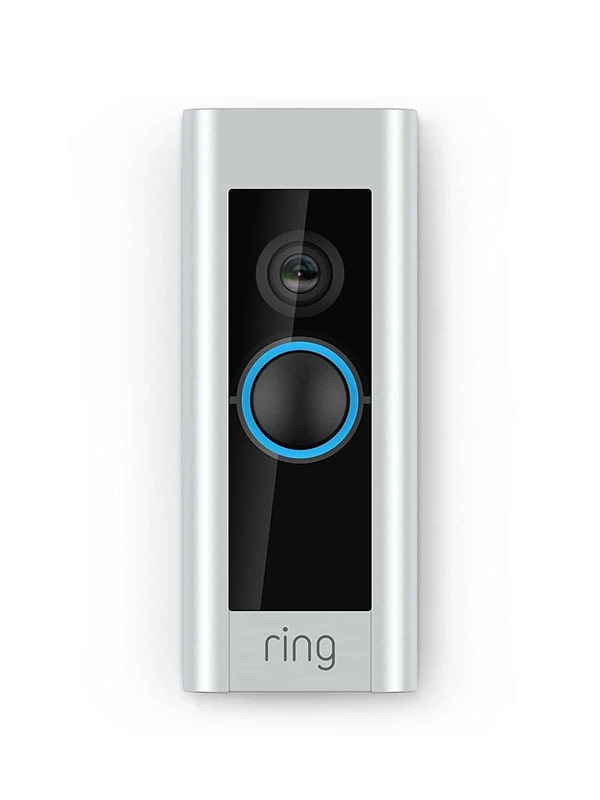 Always be home to answer the door with the Ring Video Doorbell Pro. It lets you see who’s knocking in crystal-clear 1080p — even at night — and lets you talk back even when you’re hundreds of miles away. You can also record and share moments by using the video recording feature. And for a limited time, you can get yours from Best Buy for $174.99 — $75 off the usual price. Ready to upgrade your lights? Add voice control and all the color options you could ever ask for with the Echo Dot smart lighting kit. This bundle includes two Echo Dots, two Philips Hue smart bulbs, and a Philips Hue hub — everything you need for a smart light setup — for just $149.99. That’s $99.98 off the usual price! You can get an Amazon Echo Dot dirt-cheap if you know where to look. The retailer’s certified refurbished devices sell at a big discount, and right now, you can get an additional $10 off. 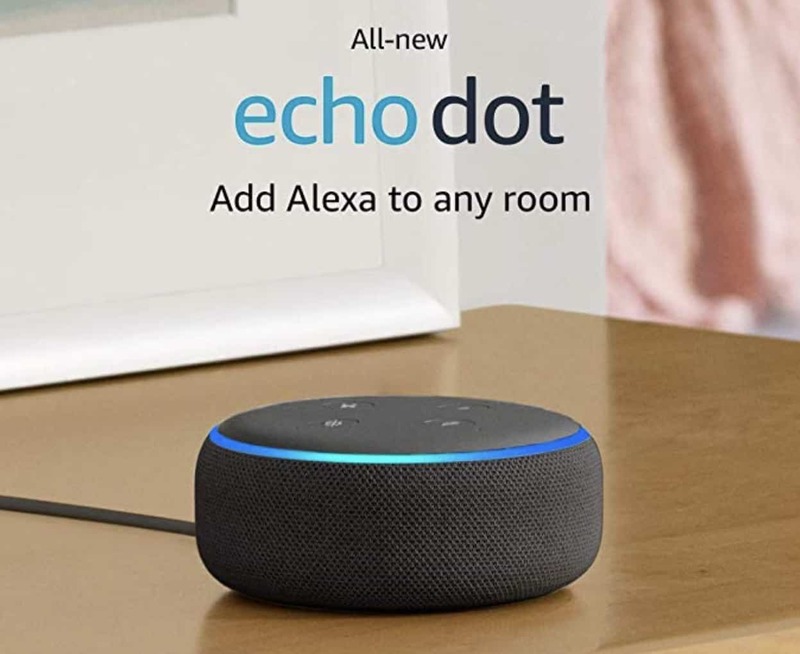 That means you can get an Echo Dot (usually $50) for a measly $29.99. The Echo Dot is just as smart as pricier Echo speakers, with more than 30,000 skills available — it’s just smaller. Follow the link below to bag yours. Amazon has again slashed a whopping $100 off its high-end Echo Show speaker with a built-in touchscreen. It offers everything you’d expect from an Echo speaker with Alexa, including stellar sound, plus the ability to watch videos, view images, and lots more. Pick up yours today for just $129.99 — down from $229.99. Need a new computer for school? Score a brand new MacBook or iPad Pro and enjoy a big discount at Best Buy. You can get up to $450 off MacBooks and up to $50 off the iPad Pro when you sign up for student deals. 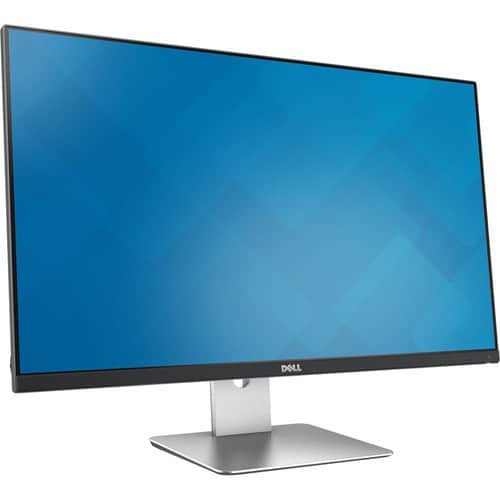 Add a second screen to your setup with the 27-inch Dell S2715H. 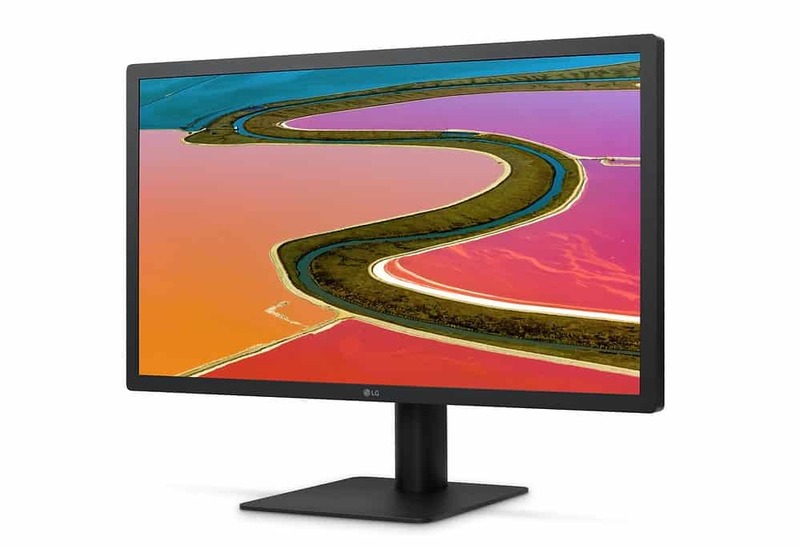 With a 1920 x 1080 resolution, 16:9 aspect ratio, and 6ms response time, it’s ideal for just about everything you do at your desktop. Get yours from B&H Photo today and you’ll pay just $169.99 — $130 less than the usual price. If you use your iPhone for turn-by-turn navigation, you’ll want to make sure it’s easily accessible behind the wheel. 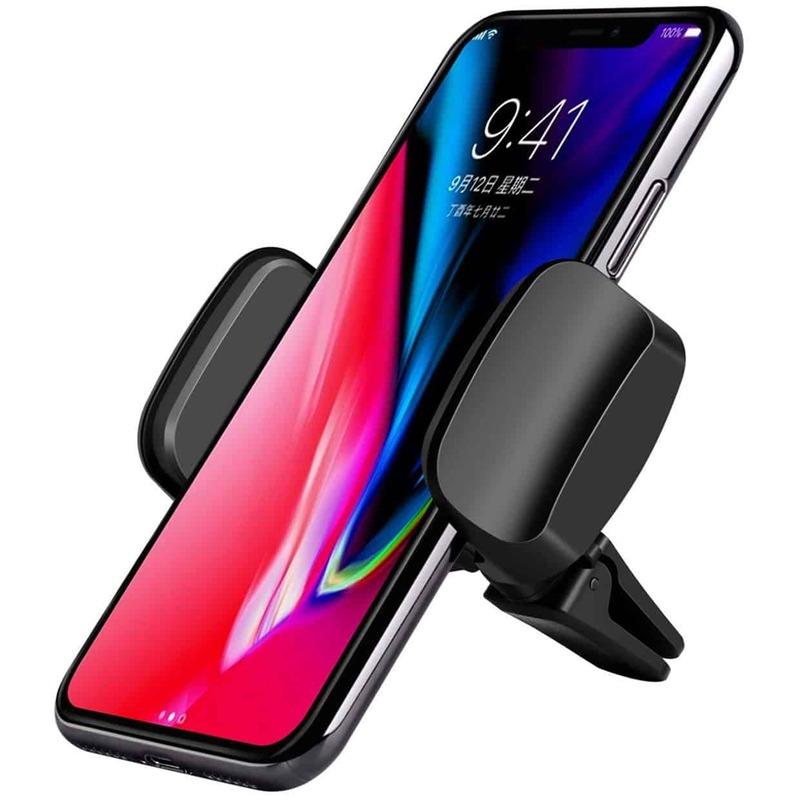 This universal car mount holds almost any handset and attaches to one of your car’s air vents to make setup a breeze. Get yours today on Amazon for just $7.99 — down from $29.99. 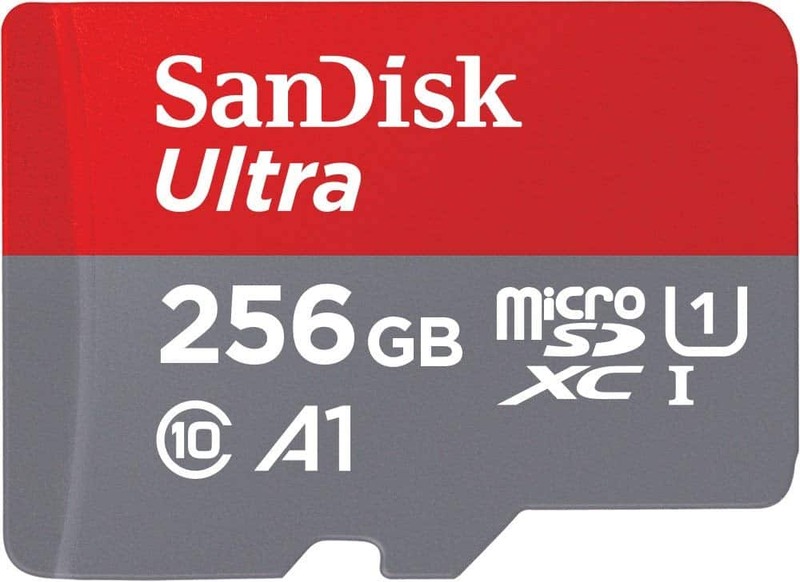 Give your mobile devices a storage boost with the SanDisk Ultra microSD card. This model packs a whopping 256GB of storage and offers data transfer speeds of up to 100 MB per second. That makes it ideal for saving and playing high-resolution movies. 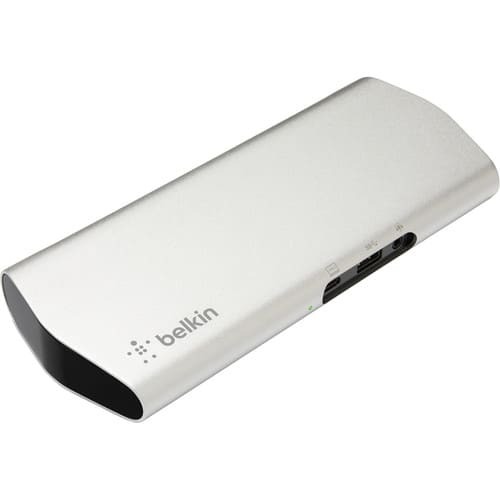 It also ships with an SD card adapter that makes it easy to plug it right into your Mac. Get yours today on Amazon for $62.80 — down from $149.99. Suffering from weak Wi-Fi connections? Extend yours with the TP-Link AC750 and enjoy speeds of up to 750 Mbps all around your home. 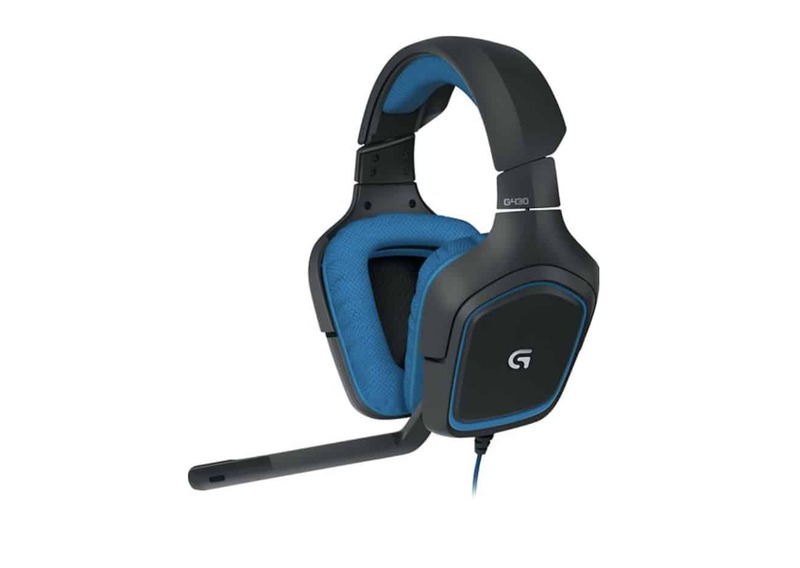 It’s compatible with 802.11 b/g/n and 802.11ac devices, and has a high speed mode is ideal for gaming, video streaming, and more. It’s also easy to set up and maintain, and boasts a positive rating on Amazon after more than 3,500 reviews. Get yours on today for just $18.99 — down from $29.97. 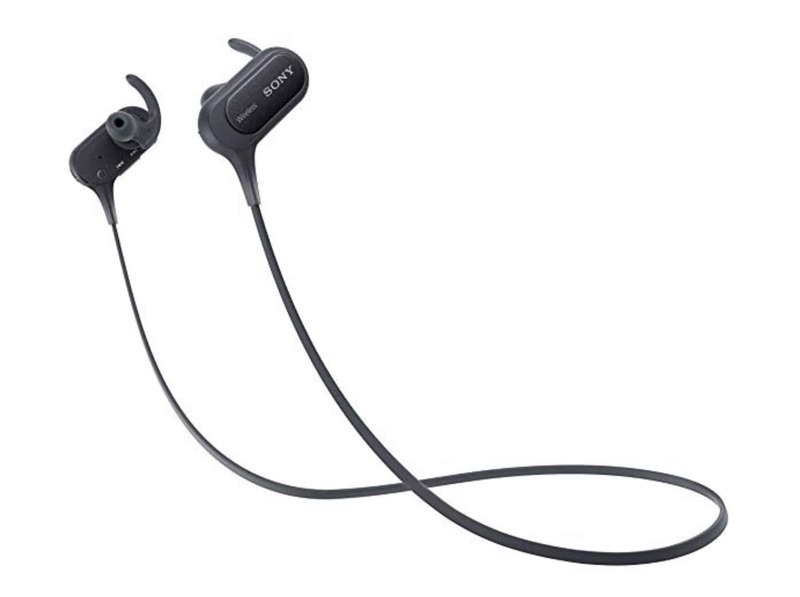 If you’re not impressed with AirPods or you’re looking for a cheaper alternative, check out the Elite 65t wireless earbuds from Jabra. They promise superior sound and voice quality, integrated controls, and a carrying case that doubles as a charging station. They’re also $40 cheaper right now at Best Buy, so you can get yours for $129.99. GOG has some spectacular discounts on great games for Windows and macOS in its back to school sale. The deals are updated every hour, but right now, you can save on titles like Yooka-Laylee, Dragon Age: Origins – Ultimate Edition, and The Witcher franchise. Follow the link below to find the best deals. Need some additional storage? 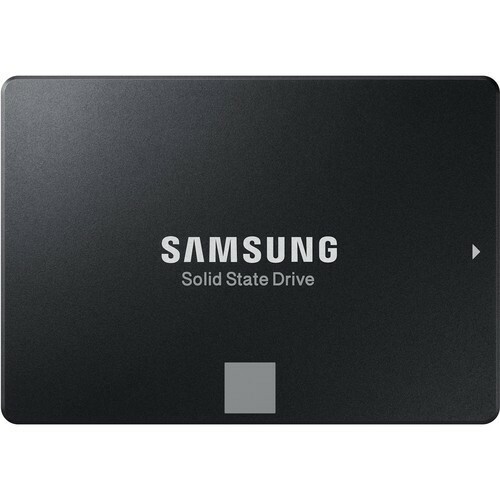 Stick this Samsung SSD inside your machine and you’ll have 1TB of space for thousands of photos, high-resolution videos, and all the files you’ll ever need. Get yours from B&H Photo right now and you’ll pay $177.99 — $70 less than the original price. If the 15-inch MacBook Pro is a little too big for you, you’ll be pleased to know B&H also has a great deal on the 13-inch model. This one, featuring a Core i5 processor, 16GB of RAM, and 512GB of storage, is now $1,799. That’s $400 off the original price while stocks last. We’ve seen some stellar discounts on 2017 MacBook Pro models in recent weeks, but they don’t get much better than this one from B&H Photo. 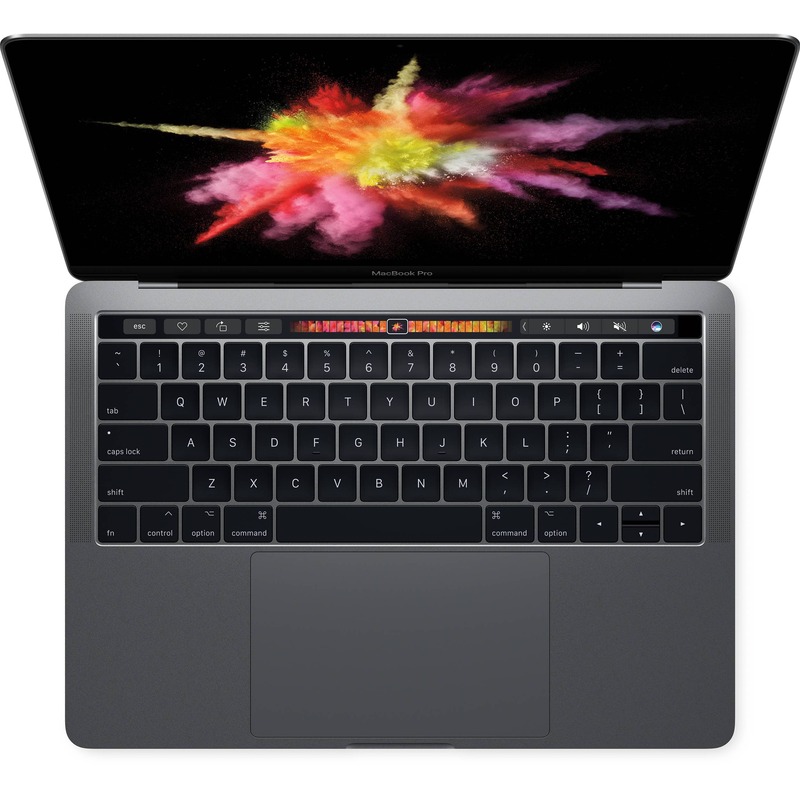 Pick up a 15-inch MacBook Pro with Touch Bar, an Intel Core i7 processor, 16GB of RAM, and 512GB of storage and you’ll pay just $1,999. That’s a whopping $800 off the original price! Get yours before they’re all gone by following the link below. Welcome to Cult of Mac’s Deals & Steals live blog for September, where we’ll bring you a daily roundup of the best offers on Apple devices, accessories, and other awesome tech. Many of the deals we brought to you last month are still live, so be sure to check out August’s live blog to see what you might have missed.